Can A Meniscus Injury Heal? Meniscus tears are a very common injury. 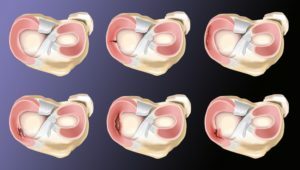 Since many people over 50 will have one and many more over 70 will have one it is normal to wonder if a meniscus tear can heal without surgery. Yes, some meniscus tears can heal on their own. Perhaps even more important, even if a meniscus tear doesn’t heal, many tears will stop hurting if treated without surgery. It is just as important to understand that many meniscus tears do not require surgery. What? Really? Yes… most meniscal tears are degenerative and will not require surgery. Over the last 5 years, there have been many scientific studies showing that the pain from a degenerative meniscus tear has the same chance of going away with surgery or physical therapy. Other papers show that your risk of needing a knee replacement increase if you have surgery to remove the torn pieces. Some of you are under the misconception that having surgery now will prevent knee arthritis. That is simply not true. A more recent study on meniscus tears showed that surgery had the same result as sham surgery. That means that some people were put under anesthesia, had two little cuts made in their skin, but the meniscus was not treated. Those people had the same chance of feeling better as those who had the actual surgery. Surgery increases your risk of needing a knee replacement. Physical therapy has been shown to often have the same effect as surgery. Sham surgery usually works just as well as the actual surgery. Surgery is one heck of a placebo. Yes, some tears will not heal. Some tears will continue to hurt. Surgery may become a reasonable option for some people. But meniscus surgery should not be near as common as it is today. Some tears, particularly those in athletes or meniscus tears that occurred due to trauma will require surgery. Most acute meniscus tears should be sutured or repaired. Healing after a meniscus repair is becoming more successful with better techniques. Many tears were deemed non-repairable decades ago. Many of those tears can now be repaired with a reasonable chance of success. The meniscus is a “C”-shaped cartilage disk in the knee. There are two menisci within each knee. A normal meniscus serves a very important role as a shock absorber and as a stabilizer. 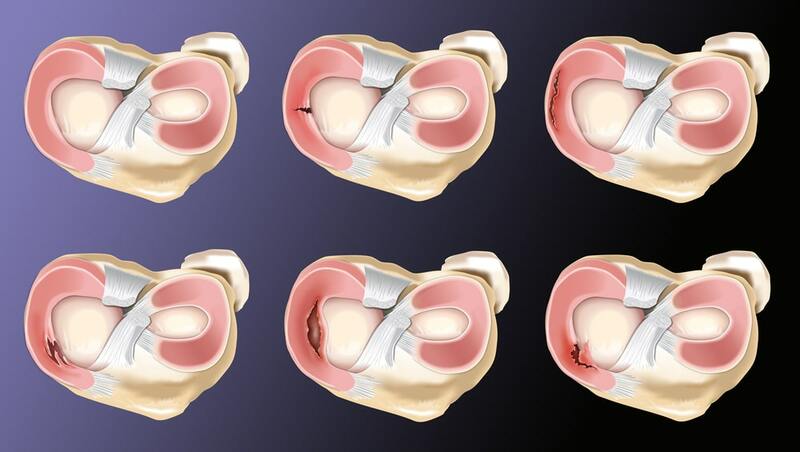 When a meniscus tears, it can lead to pain, instability, locking and it can lead to osteoarthritis over the long term. Staying active and staying in the game is important … so getting a meniscus tear to heal may be very important to you. Whether or not a meniscus tear can be fixed, and whether or not a meniscus tear might heal depends on the type of tear and the cause of the tear. As a surgeon, I look at the cause of your meniscus tear and the type of meniscus tear you have. Once I know what type of tear you have I can determine if your meniscus tear will heal on it own, or if it might require surgery to help it heal. There are different causes of meniscus tears. but most meniscal tears (complex, degenerative, and horizontal cleavage) are caused by degeneration and wear and tear. The meniscus serves a very important function. Therefore, now more than ever, we try to focus on meniscus preservation or healing. That means our goal is to try and fix or suture your tear so that it will heal. Be careful, occasionally a surgeon might tell you they will “fix” your meniscus … but they are actually intent on cutting the torn portion out. Be sure to clarify this with them before considering which surgeon should repair your meniscus tear. I should also state that we are not talking about treating highly degenerative or worn out tears in people in their 7th and 8th decades. Those tears are not repairable and most usually do not need to be operated on. Most people with degenerative tears will do very well with a compression sleeve and physical therapy and moderate exercise. Can my meniscus tear be repaired? Over the past few years, a lot of research has focused on the healing potential of certain tears we once thought would not heal. We know that the peripheral 1/3 of a meniscus has a blood supply adequate enough to bring healing nutrients to the area of the tear. Therefore, it was always assumed that only tears within the outer 1/3 of a meniscus would heal once they were sutured or stitched back together. Recent research has shown that tears with little blood supply are still capable of healing after they have been sutured together. Horizontal cleavage tears were once considered a degenerative tear not capable of healing. This paper and others show that horizontal cleavage tears can be repaired, with a reasonable chance of success. Radial tears of the meniscus were also considered not repairable, and most surgeons would simply cut out the torn portion, leaving you at risk for developing osteoarthritis. This paper shows that we are now capable of fixing radial tears of the meniscus, again with a reasonable chance of healing. Can Meniscus Tears Heal Without Surgery? When you first started reading this you were likely reading to see if your tear could heal on its own — without the need for surgery. In a very small group of people that can happen. Meniscus tears that heal themselves tend to be traumatic tears which occur at the same time you tear your Anterior Cruciate Ligament or ACL. Otherwise, most tears do not heal unless they are sutured back together. Bottom Line: The meniscus serves a very important function within our knee. When a meniscus tears, it will not serve to protect your knee from developing osteoarthritis. Many tears are now repairable with modern techniques. If these repairs are successful at restoring the integrity of the meniscus, then you may not go on to suffer the consequences of an arthritic knee. Repairs are generally reserved for acute, traumatic tears in children and young adults. Surgery for degenerative meniscus tears in adult knees with osteoarthritis is rarely required. Although your degenerative tear will not heal spontaneously, physical therapy and other non-surgical measures are usually effective at minimizing pain and maximizing function as effectively as surgery. Dr. Luks, I am a 25 year old female (26 in 2 months) who has been very active my entire life and thus dealt with my fair share of knee pain, back pain, and even hip surgery. With that being said, my knee pain was always intermittent and moved around the knee. All previous mri’s never showed anything. Fast forward to July of this year, I began having severe knee pain when I ran, like an ice pick was stuck through the inside of my knee around the joint line. Then about 3 weeks ago at a softball game, I noticed my knee hurt more than usual I the next few days I couldn’t do any activity. It was never swollen to a point that I could notice it, but it ached constantly. Now, it hurts when I do any activity, even cycle, and hurts when I sit at my desk during the day and will sometimes spike at night when I’m in bed. I went to a Orthopedic Surgeon/Sports Med. and had an MRI, I’m waiting to see him again, but I’m curious what your interpretation is to my results. I want to be prepared to ask whatever questions I may need to ask depending on what his recommended treatment will be. not a true tear… one of those things that shows up as our magnets get more powerful. I would be very hesitant about having someone mess with my meniscus at your age. But without looking at the images and examining you I can not tell what your source of pain is… so I can not comment on treatment options. Thank you for the response, my only question now is whether there could be a tear that simply doesn’t show? I’ve had two labral tears in my hip over the past two years but neither showed up on my MRI arthrogram or regular MRI. I’ve been told that the meniscus is very similar to the labrum in what it’s made of, so I can’t help but wonder if I am simply unlucky in things showing up on MRI’s! This is a quality of life decision. If you feel that the pain is impacting significantly upon your quality of life then it may be worth considering the surgery and accepting the risks that surgery poses. I have Oblique undersurface & Radial free edge tearing body Medial Meniscus according to my MRI. I am 36 years old, will this heal on it’s own or should I let my Doctor cut the tear out as he is suggesting? Thank You. Many of these can be fixed these days… find someone who might be willing to repair it. Besides… that assumes that surgery is needed in the first place ??? Which is not always the case. Thanks for the article. I’m confused by one thing. You say “Most people with degenerative tears will do very well with a compression sleeve and physical therapy and moderate exercise.” That’s what my doc is recommending for me — not surgery. But you also say that in most cases a tear should be sutured for it to heal. My doc didn’t say anything about suturing. So, this is what I’m hearing in this article. Don’t have surgery. Do compression, physical therapy, and moderate exercise. Do get it sutured. Isn’t suturing surgery? I must be misunderstanding something you’re saying. The crux of the article is that non-surgical management works for most people. IF surgery is mentioned because non-operative treatment fails, then a repair is favored over removal of the torn piece. Ah… I see. That makes more sense. We’ll see how I fare. Just got the diagnosis last week… Thanks! Dear Dr,I am Chandra from India and I went through your website and videos on meniscus tear. Quite informative and well articulated..Thank you for your posts.. Well..I am reaching out to you to take an valuable advice. I had a right knee twist while playing badminton 25 days back ( I did not fall, just a twist ) and the result of it with a visit to the Dr in India, anti-inflammatory medicines for 8 days & an MRI diagnosis since the pain has not come down. My stability is fine and I just have a limping leg due to pain. I am trying to walk normally. My Dr says I need to go in for a surgery to trim the tear & suggests an anthroscopic medial meniscectomy. I did check for a second opinion with other Doctors in Bangalore and they say I can take a chance for about 2 weeks to go in for Physiotherapy & Cold pack and then take a decision to go in for surgery or continue without surgery. My doubt that I have and clarification I would look for from you is 1) Can I wait for 10 days…is nothing harm to wait? 2) My original Dr says I should do the surgery as soon as possible as the fluids may form a cyst and may complicate the issue. I am confused as to take a right decision whether to wait for 2 weeks or should I go in for a immediate surgery? Do I have to worry about the “significant effusion into the joint capsule”..
Can you please advice ? Thanks for your reading. Should be no harm in waiting. Trying physio for a few weeks might be a good idea. Thank you Dr..I am told to wait for 6 weeks now by my Dr and take a decision on surgery..I am following exercises daily for my knee.. I recently tore my meniscus playing football and sprained my ACL and LCL. My ortho wants to do surgery on the meniscus as its in the no blood zone, is there any repercussions for waiting? I’m in grad school and winter break seems more favorable. and it is affiliated with the University of Miami. I was ordered to have 12 physical therapy sessions, was doing pretty well with the quad strengthening exercises, but after about 8-9 sessions developed a painful bursitis in my knee. I made an appointment with the ortho MD who diagnosed the left knee bursitis. He then ordered 8 more physical therapy sessions. While waiting for further insurance auth ( before the second round of therapy)I fell and reinjured the same knee. I have an x-Ray ordered for tomorrow 9-24-16. The MD did not order another MRI. When I questioned the ortho MD about surgery to repair the meniscus tear, his response was that I will not require surgery. (Maybe surgery is reserved for jocks only-NOT a perfectly healthy 67 year old female. I am very slim and take NO medication at all. The ortho MD NEVER. mentioned that osteoarthritis could be a very real sequela without surgery. Doctor, I am a registered nurse who can understand any reasonable explanation. Please guide me in management of my meniscus tear leading to a successful recovery. He sounds like he is treating you properly. The risk of osteoarthritis begins when the meniscus tears, or simply because of age and genetics. Having surgery to prevent arthritis is simply not a factual argument. It is not true … and as a matter of fact, many people experience rapid progression of their arthritis after meniscal surgery. So… as all the recent literature supports, the treatment of a degenerative meniscus tear, with or without the presence of osteoarthritis is generally with physical therapy or benign neglect. Very very few of these tears ever need surgery… and certainly not under the guise of trying to prevent arthritis. Please advise any suggestion because one doctor told me to do surgery and one told me it can be recovered by medicines. Below is my MRI report. Report: linear abnormal MR signal appearing hyperintense on PD & T2W fat suppressed images is seen in posterior horn of medial meniscus reaches superior articular surface. Medial horn appears unremarkable. Minimal joint effusion is noted. Abnormal Linear, Hyperintense signal within the posterior horn of medial meniscus reaching its supperior articular surface is suggested of grade III tear. HI Dean … Given your age, if you still have pain in a few days you should be seen by an Orthopedist who can determine if you can go hiking. I hope you can young man :-) ! I see that surgery is not always necessary but I was told I must have surgery or my pain will not get better, I risk doing further damage and I will get arthritis if I don’t have 3 sutures put in. I have a full thickness radial tear of the posterior horn medial meniscus involving the root ligament. Meniscus body is minimally extruded with intrameniscal degeneration in the anterior horn and body. Lateral meniscus morphology and signal are normal. Ligaments are intact. Minimal subchondral reactive marrow signal noted at posterior lateral tibia plateau. Diffuse low grade chondral thinning of the medial femoral condoyle and medial tibial plateau. Small areas of moderate chondral thinning are noted in medial patella and mild thinning at trochlear groove. Patellofemoral alignment is maintained. Small joint effusion without soft tissue fluid collection but a small joint effusion. Fat pads normal and no plica thickening. That said I feel like all of that was a foreign language. So I think I have degenerative changes already and is that not osteo arthritis? Must I have the sutures because it was a full thickness tear? Background is I am a 50 year old female was kneeling down and when I went to get up had a pop and could not bear weight. This same knee has an old injury approximately 20 years ago fell and hit knee and knee has clicked all these years since. Do you think I could be conservative and not get those stitches? I have been wearing a soft brace. If I return to work i cannot have any restrictions. Does that make the surgery inevitable? Thank you for sharing your wisdom and educating us that surgery is not always needed. I can not give firm recommendations in this format…. you are correct ‘diffuse chondral thinning is osteoarthrtis’. The literature tends to support non-surgical management of these root tears in an arthritic knee. Yes.. the arthritis might worsen, but fixing these tears doesn’t seem to prevent that progression either. I want to thank you in advance for your all your insight in the past, as in August of this year I wrote you a letter regarding my daughters injury; a 16 year old high performance elite soccer player who suffered an intense bilateral knee on knee hit to her left knee during a soccer game. We jumped the gun a little thinking it was a meniscus injury as it took a while to get a proper diagnosis, since doctors in Canada don’t usually initially opt for MRI right away. At the time when I wrote to you, our daughter had only an ultrasound and then an x-ray to the knee, both of which indicated findings of normal despite her inability to bear weight on her leg and it was visibly swollen for a good week after the injury. Well finally in mid August, an MRI showed that she has a full thickness ACL tear to the knee. So clearly, a much worse injury than we originally anticipated, but is reality and we just will try to make the best choices going forward. I am hoping that you can offer some assistance in this regard. After speaking to several doctors and two orthopedic surgeons in Toronto, we have opted for surgery to reconstruct our daughters ACL. I would greatly appreciate any insight you can give us regarding your opinion on how to come to a determination about which graft is the “best” choice in a case like this. I have heard from two different camps, one that says the patella is the “golden standard” for the best long term outcome and for those athletes who wish to continue to perform at a high level in their sport, and then from another camp that states that the hamstring graft is also very good and strong and often a better choice because it is a shorter, less complicated surgery, with faster post operative healing times. Cruciate ligaments: There is marked abnormal increased T2 signal throughout the ACL which appears extremely heterogeneous in its midportion. Difficult to identify intact fibers in this area. PCL intact. Articular Surfaces and joint space. Small joint effusion. There is mild depression of the articular surface of the lateral femoral condyle suggesting an impaction injury. Bone marrow: There is moderate bright T2 signal and patchy low T1 signal within the lateral femoral condyle as well as the posterior aspect of the lateral tibial plateau. Impression: Significant bone marrow edema within the lateral femoral condyle and lateral tibial plateau. This distribution of contusions is in keeping with ACL injury. There is mild impaction of the articular surface of the lateral femoral condyle. The ACL itself is markely heterogeneous in its midportion and is difficult to identify intact fibers through the midportion. These findings likely represent a full-thickness AL tear. Possibility of a high-grade partial tear is considered less likely. While the MRI findings are clear, the choice of graft is a little confusing, because as parents our daughter is looking to us to help her make the best decision for her best possible long term outcomes, but we truly don’t know what that is. I am hoping that you can shed more light on the subject and perhaps this will help us get another perspective that can assist us in our choice of graft. Any insight that you can offer in this respect given your vast knowledge, experience and wisdom would be greatly valued. I would like to thank you in advance for all your time and efforts, you do a wonderful service to mankind and it is appreciated. Both grafts work well. The patella tendon graft is still the “gold standard”. Most academic sports docs will recommend a patella graft for contact athletes … but the scientific literature over time shows that both grafts perform well. One potential issue with hamstring grafts is weakness if the surgeon needs to use both tendons. If they “quadruple” one tendon and save the other then weakness or loss of quickness isn’t much of an issue. I have performed many hamstring and patella tendon grafts … I have no strong preference in soccer players. The key to success in ACL surgery is the surgeon properly placing the graft and the patient completing the entire rehab process and NOT rushing back to sports. A few years ago I was playing soccer and as I planted my foot, it felt as though my lower leg buckled inwards about 45 degrees, and I felt a pop). A few weeks later, thinking I had recovered, I returned to soccer and as soon as I moved sideways, felt pain, accompanied by a feeling of “crunchy” instability in the knee. For months afterwards, I had pain when bending my leg too far, and it was more than six months before I could squat without any discomfort. I had an MRI which “described no definitive meniscal tear and no problem at the cruciate or collateral ligaments. they do however describe joint effusion but there appears to be no structural lesion to cause this”. I followed my Physio’s rehab program, and resumed playing soccer about a year later. I contined to play with no problems for three years until late 2015, when a similar injury occurred, in a similar situation, again accompanied by a pop. The pain was initially centred around my LCL and deep inside the knee (my physio can find no ligament damage, although he says I have a laxity of my LCL compared to my other leg). Since then, I have returned to playing tennis (not soccer), and although so far the injury hasn’t reoccured, there have been a couple of times where it feels as though it has “nearly” happened again, always when planting my foot while moving sideways (subjectively, I’d describe the sensation as my knee popping out of its socket and then popping back in again). My reason for contacting you is to ask you – given the above – do you have any idea what is going on with my knee, and should I be looking at another MRI and possibly surgery, if I wish to ever go back to playing soccer (or even to continue with tennis with any degree of confidence)? ACL issues as well as meniscus tears are common reasons. But instability of the patella, the popliteus tendon, or the upper tibia-fibula joint can also cause these same issues. You need a good exam. Often times the exam is more important than the MRI. Thanks for the article! I am 29 years old female and was staying active biking and doing yoga, until suddenly the knee pain was progressively growing and I stopped exercising. It bothers me for the last four months now. The MRI Impression says: longitudinal tear of the lateral meniscus of grade 3 tear. I am confused with two different recommendations from doctors. One doctor told me I need to do arthroscopy and it is not clear for sure if the meniscus can be stitched or the removal of the torn peace is needed. This will be identified during arthroscopy itself. That this is not urgent and I can live without a surgery for years but this will always give me discomfort and that this tear will never heal unless arthroscopy is done. That physical therapy is a waist of money and time unless the meniscus is repaired. Another doctor says I should definitely try physio for few weeks or even more and avoid surgery for now. Perhaps also consider the glucosamine and chondroitin injections to help healing process. Please advice suggestions, thank you for your time reading! The research supports PT as first line treatment for many meniscus tears. Especially if people are not complaining of buckling, instability or giving way. Many thanks for your reply, it is much appreciated! You mention some instabilities I wasn’t aware of, which is very enlightening. I’ll follow your advice and arrange another examination. Thank you so much Dr. Luks! This is helpful to us in making a decision regarding the choice of graft. Originally we were told there would be about 6 months of more intense physio/rehab and nine months before she should step back on the field. Would you agree with this as a normal range for healing time of patella graft? Also, in your opinion is there anything special outside of typical physiotherapy for ACL surgery that can help add to the overall success of healing? Our daughters physiotherapist has recommended one on one pilates with a qualified instructor. How important is the pre-operative physio to overall success of the procedure? In your opinion is there such as thing as too much physio or strength training going into surgery? Also, what do you think are the best questions a layperson can ask the surgeon to help ensure a successful recovery? Another issue that we are concerned about is the anterior knee pain and loss of motion for patella graft which is not an issue for hamstring. Is this more likely caused by lack of proper post operative rehabilitation do you feel? My daughters muscle type is that she tends to have tighter muscles in general with less flexibility and this adds to my concern somewhat. later on in her life she might suffer patellofemoral pain and arthritis also is an issue. Additionally, my daughter is taking at least 1000 mg of vitamin C daily in her multi-vitamin and my understanding is that it should be limited when having surgery as it thins the blood. When is the best time to stop taking supplements such as this prior to surgery in your opinion? I apologize for all the questions, however, I honestly view you as a reputable source of information and one of the very few surgeons who puts this information out to the public. I am hesitant to take advice from internet sources that are not prominent compared to a surgeon such as yourself. I thank you again for your time and efforts. I am 19 years old and around 9 weeks ago I twisted my knee when I planted my feet and turned my knee the other way during touch rugby training. The doctor told me to rest it and so I did. The movement of my life knee was limited but I was slowly healing and moving around. Around about 4 weeks in, I was dancing in the kitchen and forgetting about my knee I landed on it when pushing off the table into the air. I re-recovered well after this but not completely (couldn’t fully extend my knee) and so this brings me to another 3 weeks more when I decided that I should play for soccer with my team because we were one player short with no sub and I injured my knee again. In liking contact (coming from playing Rugby League) I tried contesting for the ball (rubbing shoulders with the opposition) but his force was too strong for my injured left knew to handle. It is 2 weeks now and my knee has recovered very well but this popping feeling and sound I hear in my knee makes me very concerned. I am scared to put weight on it, not that because the pain is very excruciating and agonising that I can’t handle it but because it is new and I don’t know what it is. It makes the outside of my knee a little sore. Can you please explain to me the problem and solution? You need to see a sports medicine doctor so they can examine your knee. I am 21 years old and wanted to if I could get some insight on my injury. Its been about 9 months since I first started having knee pain. It occurs in my right knee on the outside. I just got an MRI yesterday morning and the results came back concluding I have a torn meniscus. I’ve scheduled an appointment with an Ortho specialist but the earliest I can see him is November 15th. A couple more facts about my knee over the past 9 months is that the pain has been coming and going, but its recently gotten worse. In the past couple of months I noticed I was not able to extend my leg fully and playing basketball became hard as if feels unstable and week to go off my right leg. Also my knee makes a clicking or popping sound whenever I bend it. Ever since I experienced knee pain I was still able to lift weights (leg workouts) when the pain wasn’t there. I also completed physical therapy and got massages, but neither really seemed to help much overall. I was also able to play basketball and continued for the past couple of weeks because I didn’t really feel pain. As of right now all I do is ice and heat the area. This injury has stopped me from jumping (dunking on low rims) which is what I really like to do. What I’m concerned about is if I’m going to need surgery or not and what you think I should do? I won’t have a chance to see a specialist for a while and I really want to be able to start working out and doing the thing I was able to do in the past. Any thoughts or advice would be greatly appreciated. Thank you for your time. Physical therapy might be useful… but given your symptoms and feeling of instability you should not participate in sports until you are seen by your Orthopedist. is plasma rich therapy effective in dealing with meniscus injury? generally not very successful at healing meniscus tears. Hi Dr Luks, I am 44 and diagnosed with a bucket handle meniscus from playing tennis while jumping and turning in the wrong way. My orthopedic says that the handle flipped and the best option is to remove it rather than repairing it. I’ve been doing a bit of research that letting it heal is not the best option. What do you recommend ? Just want to have a second opinion. Thanks in advance. I can’t give you a second opinion… but most a repair is preferable to having it removed. Perhaps you should see another Sports Medicine doctor for a second opinion. I am 22 years old diagnosed with a complete vertical tear in the body of lateral meniscus, and an intrasubstance myoxid degeneration in the anterior horn of the lateral meniscus. This injury happened a few months back but i didnt know it was a this bad, as an ametuer athele i usually handle minor injuries. But after noticing my knee was still not responding and healing like any other injury i sustained before. I went to see a sports doctor. I am not in the idea of pursuing surgery so i was told to wear a brace and conduct physiotherapy. About 5 session in ( about a month and a week) and still have 2 more sessions to come, i feel a great improvement on how my knee feels with some motions that used to cause pain no longer do. I am a very active as i play many sports like running, cycling and many more. So i was wondering if these physiotherapy sessions would help me get back to what i do actively or my meniscus wont heal and that surgery is required if i intend on returning to an active life style? The ability for my knee to handle impact and pressure is important. I am currently working overseas and I injured my knee, running. I had a local orthopaedic specialist look at it, he ordered x-rays and an MRI. Some joint effusion, a tear in the posterior horn of the medial meniscus with cystic lesions in the intercondylar likely para-meniscus cysts. A small insertional cyst in the intercondylar region of the tibial condyle. Focal fissuring/defect demonstrated in the posterior medial femoral condoyle adjacent to the torn medial meniscus. There is severe lateral tilting of the patella. The doctor recommended surgery, a meniscusectomy. I am loathe to get in there unless I have to. I would pursue a PT option if it would give me back my use of the leg, as it is now I can walk but with difficulty. I would prefer PT at least until I return to the states in two months. I am 42 and a big guy at 6′ 2″ and 325lbs. Any advice would be greatly appreciated. Thanks doc. No harm in trying PT. Consider a compression sleeve while you recover. 1. Fliud signal intensity area is seen in body and posterior horn of mediAl meniscus of left knee joint on T2WFS, extending to its superior and inferior articular surface suggestive of grade 3b tear. 2. subtle fluid signal intesity area is seen in the body of medial meniscus of right knee joint on T2WFS , not extending to any of its articular surface suggestive of grade 2b tear/ mucoid degeneration. 3. mild joint effusion is seen in right knee joint apperaring hyper intense on STIR sequence extending into lateral bursa of knee joint. At age 29, Please advice can it be healed with time , Pt and NSAID or surgry is necessary, ? secondly is it injury or degenerative change? please guide want to return to job as soon as possible. I have two tears in my left knee…. I really can’t comment on specific treatment recommendations. One thing you should know, if you do determine that surgery is a good option for you, is that many of us are fixing these horizontal tears. Recent literature shows that the healing rate is good, despite the red-red, red-white zone theories of years gone by. At age 29 plz advise if surgry is necessary. …even if they do meniscusomy it’s still best option then no surgry to avoid athrits? Doesn’t seem like a knee that requires an arthroscopy. Do some research on ITB syndrome. That might be the lateral bursitis they see?? Complete tear ACL, Undisplaced vertical tear posteromedial aspect posterior horn medial meniscus and Significant bone bruising posterior aspect of medial and lateral tibial condyles. I am going to do prehab and wait for a month or 2 before going to get the ACL repaired but the meniscus is worrying me. I also intend to go on holiday in 2 weeks time which will consist of just walking around and eating, more of a sightseeing trip in Japan. Do you think this is wise if i use a brace and do you think the meniscus can heal naturally? Often times these meniscus tears can heal on their own. I can’t comment about the need for a brace. That’s a discussion to be had with your doctor. Thanks for the information, I have another meeting with the doctor in the next few days so I’ll ask him about it too. Thanks doctor for much awaiTed feedback i hope it is bursitis but as per physical examination by Dr, mcmurry test is positive in left knee joint but did not mention anything about right knee. and sharp pain on inside of knee which can sometimes is not centralized. I do find indomethacin helpful and waiting to go with surgry or not as I feel tired /tightness in quad muscles after hour of walk.I am afraid of meniscusomy that will lead to OA. I felt a pain/loud pop in my right knee 5 months ago and the knee began to swell and hurt within a day or two. I have been dealing with moderate swelling/pain off and on since. I have been using a compression sleeve, ice and elevation, along with anti-inflammatory drugs as needed when the pain is bad. Dr. drained my knee about a month after the initial onset and took off bright red fluid (apparently blood from the injury), and gave me an injection. That seemed to offer some relief but the pain and swelling has gotten much worse and more frequent over the last month to the point I have had to miss work. I finally got an MRI 2 weeks ago which shows two tears-medial and lateral, baker’s cyst, multiple “floating bodies,” swelling and moderate arthritis. While I dread the idea of surgery, I don’t want to continue to suffer if there is little chance of my knee healing on it’s own. What is your opinion? I’m in my mid 50’s. Thank you. Thank you for the great article. I’m dealing with a big question right now and perhaps you would be kind enough to lend you opinion. I’m a 59-year-old marathon runner and triathlete that has a medial meniscus tear in my left knee. While training for the Boston Marathon last year my left knee really started hurting. It would hurt at the beginning of the runs, but after warming up I was able to lessen the pain and complete the workouts. I was able to complete Boston (Bucket list item). However, the pain both during workouts and afterward got so bad I eventually couldn’t run anymore. An MRI revealed severe bone marrow edema and contusions in my knee, along with the meniscus tear. While forced to take several months off from running I was at least able to continue bicycling and swimming (which both increased in mileage, since no running to deal with, and they didn’t bother my knee). Now that the bone bruising has completely healed up I’ve been slowly running again for the past few months. I’ll be turning 60 next year and want to complete at least one full Ironman Triathlon (another bucket list item). I currently have no knee pain from the bruising issue, but do have the slight pain from the meniscus. Knowing that with the meniscus tear, full blown marathon training will eventually bring back the bruising, I’m planning to do as minimal running has I can get away with in preparation for the race (along with continued increases in cycling and swimming). My targeted race is at the end of July and I plan to pick up my running mileage in March. Right now (December), I’m just running a couple of miles 2-3 days a week, so I don’t lose everything and have to start from scratch. Basically, my question is: Since my meniscus isn’t causing any locking/catching in my knee, and since surgery wouldn’t be able to repair the cushioning between the two bones, I’m inclined to continue with my plan to compete in the Ironman in July. Would surgery at this time (soon, with time to recover before the heavy training) be beneficial in any way, or should I continue on my current course? Or am I crazy to be doing this?  Thank you for any insight you can provide. surgery at this time would be of questionable value — but I can’t offer treatment advice without seeing you and your MRI. Dear Dr. Luks … I found out yesterday from on MRI that I have a lateral tear in my meniscus. Probably caused from simply jumping down from the monkey bars (possibly due to the fact that I was on Cipro and not allowed to workout for a while) I’m 43 and was told that I could either live with it or have the tear removed but that it would not heal on it’s own. I’m a bit confused because before the MRI he mentioned physical therapy might help my knee. I would like to be able to swim and walk and dance again. Will physical therapy be an alternative or not? Is surgery the only way my knee will really heal? Thank you. Sorry I don’t have a more comprehensive report. Haven’t received the report back from the radiologist yet. Many thanks! Many people with meniscus tears will feel great after PT for a meniscus tear. Some will not and will go on to require surgery. Unless there is a “bucket handle” tear or a flap tear then many of us start with PT first. My MRI report shows that Small focus on Osteochondroitis Dissecans/Insufficiency fracture lateral part of medial femoral condyle with small underlying marrow edma. also Grade II myxoid degeneration is seen in the body and posterior horn of medial meniscus. I am 25 year old active athlete but now i am finding very difficult to walk and climbing a stair is not possible . what should i do. one doctor suggest me surgery and other suggest me rest and phisiotherapy. what should i do whether i will be able to return to my game again or not. felling depressed what to do. An insufficiency fracture usually requires crutches and time to heal. Physio to maintain your motion is a good idea. No strengthening or weight bearing exercises until the fracture heals. 5-6 weeks. Hi the article was great I wanted to ask. My knee is hurting and it happened at work. I was on my knees putting silicon on the sides of the trim on the walls. Then when I was walking over into another room on my knees I felt a quick sharp pain that lasted less than a minute. I assumed that maybe it was a sharp object. About 3 have passed and I have a very small bump but, you can feel the difference between both of my knees. However, it only hurts in the middle and it only hurts if I apply pressure on it but very little. It’s just a small little sharp pain and once I get off it I no longer feel it. I don’t have pain walking, twisting my knee or even bending it. However, when I have my knee bend it’s almost as if I can feel it. I feel it’s more vertical than horizontal. Do you think I need surgery I’m only 19. Hard to say Ben … Without examining you I cannot offer you a worthwhile opinion. Dr Luks, thanks so much for this very helpful website. I am limping due to discomfort in my right knee and can no longer do a full squat because of pain in the right leg at the last part of the squat. The ACL, PCL, MCL, LCL, quadriceps and patellar tendons are intact. chondromalacia is present in the medial patellar facet. My doctor recommends surgery, but says repair is not feasible; he’ll simply scrape out the damaged tissue. I am concerned that this won’t really solve the problem and could lead to OA. I will appreciate any advice you can offer. Should I manage this with heat, cold, exercise, advil, etc. or bite the bullet and have the surgery. I am 65 and in excellent health otherwise. Have you discussed physical therapy as an option? It works for many. A repair is always an option until you are looking at the mensicus at the time of surgery. I am a 15 year old girl who has got an injury since October 2015 due to a fast move in my dance routines (there was a snap and a lot of discomfort with pain and stopped on that day from doing anything). When I got home my knee was really swollen so i put some ice on and took some pain killers) At first i thought it was not a big deal so i just carried on doing sports in school the next day, but slowly i could feel that there was something wrong with my right knee and swelling started to happen and a lot of pain kicked in at once. Due to that i couldn’t do any physical activity because my knee get giving away and the pain was just too much. In time i started to have struggles to walk, random pains during the night, struggles to go upstairs and downstairs. So i started to follow the RICE treatment. I decided to go hospital with my mum and when they checked me and they said that my lateral collateral ligament was torn however they did not give me to do an MRI. They said that i should be on crutches with a knee metal brace that will keep my knee straight and that i should avoid putting pressure on it. After i got put on crutches, things started to go well, the pain reduced and that took a month. I then went to a physio therapist to get my knee stronger and get back to my sports and dance. Unfortunately after several months of physio, after i left within a week all the pain and swelling came back but it was worst. Therefore we requested to to an MRI because i started to worry. Once i got my MRI done my ligaments were fine however my diagnose was that i have a myxoid degenerative meniscus. For my physio therapist it was a shock because i am young but yet have an “old persons cartilage” meaning it wears and tears. We then got sent to an orthopaedic and was told that in fact that’s a good thing which shocked my parents because it doesn’t make any sense. If its a good thing then why all the swelling and pain happening? And why would it appear on the MRI as something bad? He said to wear a brace for support and start doing sports and even if it hurts to carry on. Along with that he said to do bike movement exercises. I have done all of these things and things got worse. We then had another orthopaedic doctor and said that as a young teenager i should not have such things like this and that a surgery may be required. Please note that i still have this injury and pain and its been 1 year and a half. When i told him how long this has been going on, he said that my recovery has been delayed especially if i am young person. I am really confused and would like your opinion on this please. An MRI will ocassionally miss a meniscus tear. Options include getting an ultrasound to look at the outer attachment of the meniscus, and at times we as surgeons do decide to look inside the knee with a camera (arthroscopy). Often times we are able to identify the problem and fix it. Unfortunately, there are times when we put a camera inside the knee and we do not find anything. Hello. My 16 year old competitive soccer playing daughter got news that she has a longitudinal tear peripheral body medial meniscus extending into the substance of the peripheral and middle 3rd of the posterior horn. What is the best treatment for her? She is verbally committed to play D1 college soccer. Please advise. We heart broken. If the tear is bothersome and doesn’t heal on its own, then this tear pattern is usually repairable (sutures). After a successful repair, a return to sports program can usually begin 3 months or so after the surgery. Most tears at this age will heal well after surgery. Just be sure that you and your surgeon are on the same page … i.e.. suturing versus removing the torn piece. 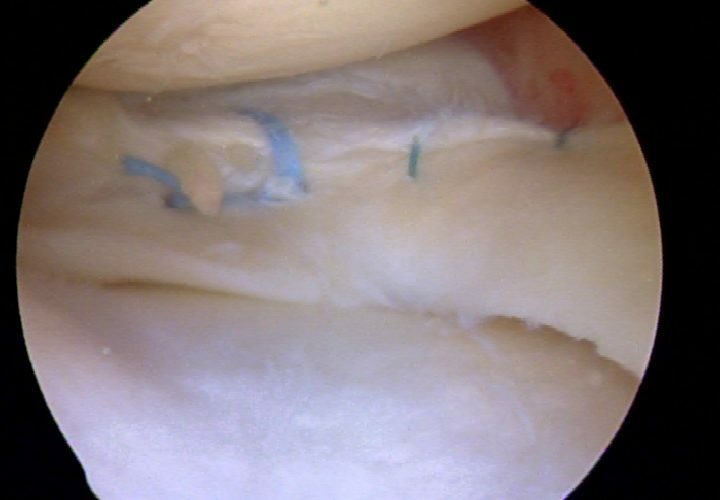 Can you re-suture a previously repaired meniscus tear? You can… but the results might be less than satisfactory. Many thanks for your articles and responses. I have recently went for MRI of my right Knee after experiencing severe pain on the posterior knee. I do weight lifting including squats and deadlifts for many years now. I am 34 years old and have knock knees as well. My MRI results are as below. Appreciate your thoughts on the treatment options (I was advised a keyhole surgery to remove meniscus tear and the cyst). By the way, I have stopped squatting and deadlifting for 3 weeks now and I feel no pain. There is a suspicion for a tear of the medial meniscus body (appearing abnormally small) with a flip meniscal fragment at the posterosuperior corner of the posterior horn. Mild lateral patellar tilt noted. It can.. but it’s rare. Was there any arthritis seen on the MRI or X-rays? Thanks Steve… just hoping that it helps. My MRI report says cartilage irregularity and loss is seen involving the lateral femorotibial compartment with focal areas of full thickness cartilage loss and subchondral irregularity and edema involving the mid and posterior portion of the laterla femoral condyle and mid portion of lateral tibial plateau as described. A complex tear is also seen involving the anterior horn body and posterior horn of the lateral meniscus with predominant bucked handle morphology and the bucked handle fragment lying in itercondylar notch. The postero lateral corner ligaments also appear torn. Will my meniscus tear will heal naturally or i should go for surgery? This is an arthritic knee (full thickness cartilage loss). Meniscus surgery has a low probability of making you feel better. I am still waiting for your response. I am feeling better with my knee after 2 weeks of rest but I am afraid to go out and run again. I have been cycling in gym and doing half squats. Sir please reply i want to run again and play football again. What should i do to heal this bucket handle tear. Hi doctor thanks for your previous reply. So what should I do to get back to normal. I am able to fine without any pain but I want to get back to playing football!! I have rested my knee for 3 months now can I again get back to sports activiy? So what should I do to get back to normal. I am able to walk fine without any pain but I want to get back to playing football!! 1. Type II a signal intensity in the body. Posterior horn of medical meniscus likely horizontal tear. 3. No obvious ligamentous injuries. 4. Contusion in lateral tibial condyle. Rehab or physio is certainly worth a try. That bone bruise (contusion) will take a few weeks to feel better. Hi doctor please answer !! M I suffering from osteoarthritis? Or there is any cure for me!! After 3 months I went for running again same swelling occurred after half hour of activity. Doctors are just telling me to rest and not suggesting any way by which it can be treated. I Had An MRI Done On My Left Knee And These Are The Findings/Results : Do I Require Surgery For Sure My Ortho Said To ‘Scope It” ( Meaning Removing The Torn Piece I Guess) Will It Heal Or PT Work, Is It In The “Red Zone” To Possibly Heal ?? Thank You So Very Very Much For Any Info You Can Give Me ! the body. Lateral meniscus intact. 1. Complex tear body to posterior horn medial meniscus as described. patellar keel without evident high-grade chondrosis. Dear Moderator You Can Delete The Last Comment I Made If This Works For Adding The Info ….Sorry For The Inconvenience , And Thank You For Your Help !! You have a “degenerative” meniscus tear in the setting of early arthritis. Most research shows that these knees will respond equally well to therapy and non-operative mgmt as they would to surgery. Surgery is rarely needed in knees like this. Sometimes the surgery can actually make the knee feel worse if you develop a stress reaction or bone marrow edema after the surgery due to loss of the meniscus. This is a typical picture of a degenerative knee (early arthritis) with a degenerative meniscus tear. In general, unless the pain doesn’t respond to PT many sports docs would not operate on these. I am 76 years. I had an MRI and was told I have a torn Meniscus. It happened in September of 2016. I have very little pain and complete movement of my knee. I can walk, run, crawl on my knees with out pain. If I elect not have surgery will my tear get worse. I had a shot in my knee last week and it seemed to make the pain worse when I cross my legs. Most research supports a non-operative approach to meniscus tears that are not having a significant impact on your quality of life. Can a tear become larger? sure. Common? no. 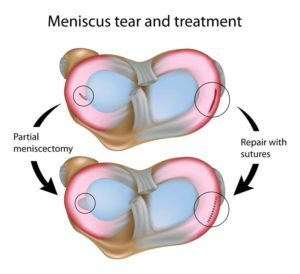 Can you re-tear a meniscus even after meniscus surgery? yes. Most sports docs would not advocate for surgery for a minimally symptomatic meniscus tear, espec at your age due to the risk of causing or worsening arthritis. First, I enjoy reading your advice, interesting articles. I shall be succinct. I am a 58 year old distance runner, ( marathons, ultras ) and recently snap!, my left medial meniscus tore. 5 cm, irregular radial tear through the posterior root. Tear extends through meniscus body and posterior horn. Also, .8 X 1.2 cm articular cartilage defect. Same compartment. Some bone edema, but pain, swelling improving significantly since the injury 10 weeks ago. Arthritis, very nominal, like a 3 of 10 per doctor. I walk, exercise fine, no pain. Getting straight to the point: I know something needs to be done for me to hopefully get back to running. What are the odds of a root repair healing for a 58 year old, or is it just as important to “tie down” the meniscus? My only other question is should the articular defect be addressed same time ( like microfracture ) or just leave it? Thanks. I know you are a busy guy. A reply would be appreciated. I know you do not have my MRI. i do have a copy on disk however. Hard to comment on your specific case without examining you and looking at your studies. Most medial root tears occur in a degenerative or arthritic knee. On rare occasions there is very little arthritis. Since the degree of arthritis is rather subjective I can not comment on whether or not the root can or should be repaired. I have repaired root tears in minimally arthritic knees after a traumatic tear. But I observe most root tears since they do occur in the setting of moderate or advanced arthritis. Yes… a microfracture may be done at the same sitting as a meniscal repair — but for degenerative or arthritic defects the results are not great. Thank you for your informative article. I am 52 years old and I have been running since I was 13. I was training for a triathlon and was running on the track. After a vigorous speed workout I decided to run an easy recovery lap and had sudden sharp medial knee pain. After two weeks and a Medrol dose pack and no relief I had an MRI. The results showed an “oblique tear through the inferior articular margin of posterior horn medial meniscus with underlying fraying” and “severe chondromalacia patella in the lateral facet” I have not gotten an ortho referral yet but the pain is really not improving. Is this a surgical case? I am also trying to continue bike riding and swimming but the bike has become painful and I don’t want to take NSAIDS and mask the pain. Do you have any suggestions? Sorry Michelle… As a fellow runner/cyclist I can feel your pain. Time is your best friend with regards to meniscal healing. These tears are common in runners. It can take 6-8 weeks for them to simmer down. If they still hurt at that point it might be worth exploring a repair. Perhaps… best to be seen by an Orthopedist. Is a degenerative miniscus tear worth having surgery if you are 70 yrs ? it is usually not. Most studies show that physical therapy is as effective. And some surgeries for degenerative tears in 70 year olds can make the knee worse than it was. Dr.Luks, i am a 20 year old male that suffered a soccer injury 3 months ago. My MRI results show that i have a bucket handle tear in my medial meniscus and my ACL torn in half. Should i try to repair both injuries or just one over the other? because ive heard in some cases people can live normally without the acl. my lifestyle is active. im not having horrible pain at the moment. from 1-10 id say 3. Many of these bucket handle tears can and should be repaired. This can diminish the risk of developing osteoarthritis. Many young active 20 year olds playing soccer will need to consider having their ACL reconstructed due to instability or giving way. IF your knee is stable, or if you change your activities then you may be able to avoid ACL surgery. This is something you need to discuss with your doctor. If you do not have surgery, and your knee is unstable you can continue to tear the meniscus again. Dear Doctor, I recently had an MRI of my right knee which showed an altered signal intensity and morphology within the anterior horn, posterior horn and body of the lateral meniscus consistent with a non displaced longitudinal horizontal tear. There is an 8x3x5 mm lobulated septated fluid signal intensity lesion at the lateral joint line of the knee at the lateral margin of the body of the lateral meniscus consistent with a para meniscal cyst. I am on Coumadin for 2 pulmonary embolisms – one in 2001 and one in 2002. The ortho doc can do the procedure with me staying on Coumadin. My orthopedic doc recommends a meniscus repair while my primary care doc tells me the knee may heal on its on in 3 to 6 months. I am an active 61 year old female who walks 3-4 times a week about 2-3 miles each time. At my age, my question is should I have the surgery or do you think the tear can heal on its own? I worry it will get worse without the procedure. MOst degenerative tears do not need to be operated on… but i can not comment specifically on your case. Sorry, good luck! Great article and very insightful! I am a 26 year old male who is 6’0, 260 lbs. Back in December of 2016, I suffered an injury that was later determined a tear in my lateral meniscus of my right knee. According to the MRI, the 3 orthopedic surgeons that I saw all said that I have a tear with “a flip” of the lateral meniscus within the white area. The MRI also showed a possibility of a tear in the medical meniscus in the same knee, but the doctors said that it would not be clear if it is torn or not until arthroscopic surgery is performed. Two out of the three doctors that I saw said that this tear is not repairable due to the type of tear, my age, height, and weight, but one of them said “maybe” it can be repaired. One important thing that I learned later on about the doctor that said my tear is repairable, was that he is still in training. So, his judgment is questionable. As of right now my knee is feeling better, but it is by no means normal. I still have popping and clicking in the knee, there is still on and off dull pain on both sides of the knee, and my activities are limited. I’m scheduled to go into surgery in about a weeks time and would be very appreciative of any input you have. HI Seth… THis is for the most part a quality of life procedure… if you have gone through the appropriate rehab and your pain has not improved then it is your call if surgery is the next step. Recent literature shows that some white zone injuries are in fact repairable, but we do not know that until we are looking at the tear at the time of surgery. Thank you for the input doctor, I appreciate it. Hi Dr, 7 days ago I tripped and fell smack on my right knee. Immediate intense pain! Took 20 minutes before I could attempt to move and my granddaughter pulled a chair over to me in order to lift myself up. My knee was instantly swollen and hurting really bad. I knew something was very wrong. So called my son who came over and took me to urgent care where I received X-rays and nothing appeared to be broken. The doctor could see the swelling and it was wrapped up and referred to see an orthopedic dr. Had to wait 4 days to be seen. Upon exam the doctor drained out a lot blood and has referred me to get an MRI. I am 64 and have not had any previous knee issues which I am proud to say. This fall was very unfortunate. My question is why was there so much blood and your best guess as to maybe how much my knee may be damaged. The doctor only told me to stay off of it as much as possible and to use crutches until I can get the MRI done. Bleeding is common but a non-specific finding. Bleeding can be found in arthritic knees, after a ligment injury, a fracture, or a meniscus tear. I hope you feel better soon. Hi dr,iam 57 y old and i tore my meniscus completely and tore my acl from falling of the motorcycle, my dr said that i need arthroscopy to fix it, but i refused toi do it, now after 4 months its better but iam still in pain if i twist it or run, it gives way and not stable….what do you think i should do? Having an unstable knee not safe. If you are concerned with your first docs opinion, then talk with another one. You need to talk about the ACL and meniscus. Both might cause instability. I had meniscus surgery in Jan and the pain has never completely gone away. Had another MRI last week and below are the results. So my question is, my dr. is suggesting that I have another scope to see what is going on and if a tear if found they will fix it.. But I never did anything to reinjure the knee. I have not had physical therapy, but do you think it would be the way to go since the report now says I have arthritis? The anterior and posterior cruciate ligaments are intact. There is acute on chronic sprain of the medial collateral ligament. Mild sprain of the proximal lateral collateral ligament proper. Remaining lateral collateral ligament complex is preserved. Minimal popliteus tendinopathy. Patellar retinaculum is grossly preserved given internal vascularity. Distal quadriceps tendon is overall intact. There is proximal and distal patellar tendinosis with undulating appearance of the patellar tendon presumed positional in nature although please correlate. There is mild prepatellar edema. There is patchy bone marrow signal intensity presumed related to patient age and habitus. There are presumed postsurgical changes of the posterior horn of the medial meniscus with a few fibers extending toward the posterior root attachment remaining. There is extrusion of the medial meniscal body into the medial gutter with inner margin irregularity. There is now a curvilinear abnormal signal intensity focus in the remaining medial meniscal body extending to the inferior articular surface series 4 image 18. There is intrasubstance degeneration of the lateral meniscus and mild inner margin blunting/irregularity identified. There is moderate to severe cartilage degeneration of the medial and lateral compartments, now with focal cartilage loss involving the medial femoral condyle approximately 1 cm in size on series 4 image 18. There are regions of near full-thickness/full-thickness cartilage loss involving the lateral compartment most notably the lateral femoral condyle. There is focal cartilage loss involving the patellar apex cartilage extending slightly medially and laterally. There is moderate trochlear groove cartilage degenerative change. There are presumed loculations of joint fluid surrounding the anterior horn of the lateral meniscus increased in the interval. There is a moderate joint effusion, slightly loculated laterally, also extending into the suprapatellar fat increased overall in the interval. There is minimal presumed subchondral cyst geode formation about the superior patella similar to prior study. No significant Baker’s cyst. Tiny presumed bone islands or internal vascularity about the knee. Minimal subchondral cysts geodes most notably about the tibial spines. Hi Terry… Another arthroscopy would not likely work. Check out our post on root tears of the meniscus. You also might like two recent posts on our Facebook page… they deal specifically with meniscus tears and osteoarthritis. A compression sleeve could be use without any concern? What do you think about PRP process to help this kind of injury? It is safe? or could have some risks? Many people find that a compression sleeve makes the knee fell better and feel more stable. There is very little data to support the use of PRP, but many doctors are trying it. Hi, I twisted my knee really badly last May. i had an MRI done and was wondering if you could tell me what you think of the results, which are: 1. There is a complex horizontal tear of the body and posterior horn of the medial meniscus which is mildly fragmented. There is an adjacent multilocular cyst, assumed to represent a parameniscal cyst extending from this tear into the posteromedial joint capsule. 2. Suspected remote low-grade MCL sprain; 3.There are tricompartmental degenerative changes, with mild to moderate medial and lateral compartment degenerative changes. 4. There is a small radial tear of the body of the lateral meniscus. Can you please tell me what the foregoing means and what is the treatment for this injury? My knee still hurts… Please, please tell me what I can do about this. Thanks. THat means that you have degenerative osteoarthritis of the knee (chondromalacia) and two degenerative meniscus tears. Physical therapy has been proven to be as effective as arthroscopic surgery in these knees. But I can not comment further on the specific treatment that you might need. I had been an ardent follower of this page until last year when I was supposed to undergo arthroscopy for a tear in discoid medial meniscus. I thought its my moral duty to give it back to this blog about my recovery and experience so that other people might benefit. Its almost an year after my surgery. As stated, I had a developed a tear in my discoid medial meniscus and carried it for as long as 15 yrs. Last Feb, after a long drive, the pain became so bad that I had to consult a Dr and the MRI revealed that I have a torn meniscus that too a discoid one. Consulted few other doctors and other physio therapists in the hope that even if one says the surgery isn’t needed, I will postpone it. Not even one of those people suggested to not go for the surgery. It took me another 4 months to convince myself to go under the knife. My surgery was 75 min long procedure under spinal anesthesia and was asked to stay in the ward for the night. The torn and the extra portion was trimmed and 3 Fastfix sutures were implanted in the meniscus. The next morning I was told to use a walker and a brace for 2 weeks and not bend my knee for those many days. After a follow up 2 weeks later, the knee was allowed to bend by 30 degrees with the brace and after another 4 weeks, the angle was increased to 90 degrees. All this while I was also advised physio which I diligently carried out. The pain from tear went away and what remained was the post operative pain which was subsiding every passing day. Fast forward to almost an year, today I feel confident and better than I have ever felt. I do trade cautiously though (no unnecessary jumping or running, no kick-starting my motor bike etc) and still doing things to fully strengthen my right leg. Occasionally(2-3 months) I do feel some pain near the spot for 2-3 days but its nothing that is very bothering for me. I’ve been satisfied with my surgery and recovery and wish all of my friends over here a very happy and speedy recovery. Glad to hear you are doing well! Even happier to know this website was helpful ! I consider myself really lucky to have found a place where a highly qualified doctor invests time to read & reply to complete strangers unconditionally. I wish I could come & meet you in person.. I am a 38 year old man from India. I was suffering from pain and discomfort in my right knee for about a week so I decided to get an MRI done ..
Opinion : Normal femorotibial and patellofemoral allignment is seen. The bones show normal marrow signal. The femorotibial and patellofemoral joint spaces and articular margins are normal. No effusion is seen. The ACL. PCL, MCL, lateral capsular structures, anterior supporting structures and the medial and laeral patellar retinacula are normal. A horizontal tear of the posterior horn of the lateral meniscus is seen, extending up to the femoral articular surface and almost up to the root, with a small posterior parameniscal cyst as well. The anterior horn and lateral meniscus are normal. Remarks:- A tear of the posterior horn of the lateral meniscus is seen, involving most of the length of the posterior horn , extending up to the femoral articular surface , with a small posterior parameniscal cyst. No other relevant abnormality is seen. I have met 10 doctors till now. 8 of them are advising immediate surgery with a complete removal of the meniscus and 2 are asking me to undergo physiotherapy and wait for 6 months or so. As of now I don’t have any pain , nor clicking sounds. My knee doesn’t get locked or give me a lot of discomfort either. I am terrified of the surgery & getting it completely removed.. I hope you can give me some valuable advise as to what I should do. Can my knee heal without surgery? If surgery is the the only way out, is a transplant possible? I hope and pray you find time to read my message.. Thank you very much.. Stay blessed. As you know from reading my posts, many meniscus tears do not require surgery. Many people do very well with simple observation, or physical therapy and live long productive lives with their meniscus tear. You have a degenerative type of tear. It is certainly not an emergency… nor is it anything to worry about if you have no pain. You should avoid surgery if possible. If your pain returns, I would suggest considering physiotherapy. If you don’t feel pain and aren’t facing any limitations in you movements, I suggest you shouldn’t think of the surgery for now. When pain returns, try physio sessions, or rather I would suggest start physio right now so that your quad, hamstrings and calf muscles become strong and provide less stress on your knees. You appear to have a degenerative or arthritic knee… the bone marrow edema is the likely cause of the knee. In many instances that will resolve if you use a cane for a few weeks. This is not a knee where I would consider an arthroscopy to treat the meniscus tears. Most all contemporary research shows that meniscus surgery in this situation is not indicated. I have had swelling and pain in my right knee for about 3 weeks. I am an active 65 year old male that hikes, bikes, and walks. I want to stay active. My sports medicine Doctor diagnosed my injury with the aid of an MRI as a tear of the posterior horn of the medial meniscus. I also have mild irregular cartilage loss in the midportion of the medial and lateral patellar facets. My Dr. recommended PT as a first option and if this doesn’t work, then surgery. PT seems to be helping. The swelling is significantly reduced. I am able to walk on the level with minimal pain, encountering more pain when I walk down hills. Your answers seem to indicate that in a person my age, generally speaking, surgery would be no better and maybe worse than the PT option. Is that correct? That is what the scientific literature would support. Lateral compartment: there is a degeneration of the anterior horn of the lateral meniscus with a vertical longitudinal tear of the anterior root attachment. There is a full-thickness chondral defect posterior inferiorlyalong the lateral femoral condyle, measuring up to 7 x 9 mm in size. Would you recommend having surgery? Also, what would the recovery time be? THis is a complex case… not for average sports doc. Make sure the person you see knows how to perform root repairs and is well versed in cartilage regeneration techniques. Have classic painful knee, stiffness, symptoms for tear; My diagnosis post MRI a nondisplaced radial tear of posterior horn of the medial meniscus; further says lateral meniscus demonstrates mild diffuse intrasubstance degeneration but is intact; I am a 64 YO female; Did not have recent accident or fall; back in 2010 fell while jogging fell on my knees which ballooned out but recovered nicely; recently have been working hard in garden, bending, for long hrs. stretching etc.Don’t know if 2010 fall caught up with me; But can this tear heal or do you recommend the arthroscopic surgery to have damaged area removed? I am still very active. I can not make formal treatment recommendations… sorry. But if your pain doesn’t improve with time (6-8 weeks- minimum), heat, exercise (physical therapy) and your quality of life is poor then you and your surgeon should review your other options. I am very impressed with your webpages and informative discussion with all the other people on their knee conditions. I am a 29 yo mar. I live an active lifestye and play lots of sports an FYI play with my daughter a lot. I recently had an MRI after I noticed a great deal of pain and instability in my right knee. I had X-rays taken and there were no abnormal findings. I had an MRI done and he findings were a 9-11 mm longitudinal tear of the body segment of the lateral meniscus starting near the posterior horn root and extending said 9-11 mm and then going peripherally out to form a complex flap tear. This flap tear displaces with knee flexion greater than 90 degrees and causes a knee lock. This knee locking is painful and produces knee instability. I have done pt and stayed away from any physical activity involving twisting or bending past 90 degrees in any way shape or form but my instability remains and the knee still feels like it will lock if I go into full flexion again. My ortho said that this is a long tear and can definitely produce instability and the flap would cause the mechanical locking. He also stated that a repair is definitely preferred but he wouldn’t know what would be best until he is in there (scoping to see it). If he were to remove it though, it would be approximately 50% of the lateral meniscus. I definitely have no intentions of losing that much of my meniscus. I don’t really see any way around the surgery but definitely want to be able to get back to an active lifestyle down the road. What do you think about my case and the mechanical issues that I am having with my injury? Hey Doc, I am 71 yrs and I damaged my knee by being on my haunches gardening. MRI findings were ‘The medial collateral lig demonstrates increased T2 signal at its proximal insertion in keeping with low grade strain. Distal insertion is intact. There is a radial tear of the body and oblique tear of the posterior horn medial meniscus, ACL, PCL r in tact. Posterolateral cnr structures, lateral collateral ligament, weightbearing surface cartilage R in tact. The articular surface of the patella, femoral trochlear groove R preserved. A 30 mm popliteal cyst with minor irregular margins in keeping with partial rupture noted. Conclusion: Tear of the body, posterior horn medial meniscus. B/ground of multicompartment osteoarthritis. Low grade strain proximal attachment of MCL. Small popliteal cyst.’ I live in Aust and my Dr has referred me to a public hospital for surgery which could take 2 yrs. I walk with a limp. Can I pls have yr advise. The scientific literature shows that Physical Therapy might be equally as effective as surgery. Operating on meniscus tears in the setting of osteoarthritis is not always successful. Hopefully non-surgical methods work for you. After an x-ray the other day, my orthopedic doctor told me I have a slight tear in my meniscus. This happend 12 days ago when I awakened – just couldn’t walk without pain. I didn’t fall it – just came all of a sudden. I am 80 years but still working full time. I am taking 600 mg of ibuprofen 3 times day and one Voltaren at night. Is this a good prescription for healing? I also am alternating with heat and ice packs. I still have severe pain even though I am using my rollator walker to get around. At my age my doctor told me that no surgery is required. I start physical therapy in 2 weeks. Please tell me what you think of my situation. Thanks! YOU probably have a fair amount of arthritic change too. You are taking too much motrin and you can not take Voltaren with motrin. Please take to your primary care doctor about your medications. The risks add up and for an 80 set of kidneys and stomach this might be too much for them to handle. Physical therapy, and perhaps a compression sleeve sound like a good place to start. Respected doctor, I am 23 yrs male twisted my knee a year ago while playing football, then I took a rest and after 15 days I was fine and again start to play bt in slow motion by again a severe pain occured for a minutes and no pain after few minutes, also a long 2,3 hour walk up to hills make my knee pain a little. When my knee pain occured for 5,6 times again and again within a year, Then I consult to doctor and did x-ray bt doctor told all is ok in x-ray and then he suggest physiotherapy and medicine which helps to reduce pain bt I didn’t took medicine as I can easily walk and there is no pain. Sounds like you may need an MRI. Dr Luks, I have a knee injury and has been going on now for 14 months, receiving PRP injections, first 3 complete, 1 per month, 6 months ago, now started another set of PRP injections, two weeks apart, over 6 week period, when I sit too long, 10 to 30 min then get up very sore, locking up, giving way feeling, constantly limp, if stand too long gets very sore, prescribed Mobic, tramadol, voltaren 50mlgs, helps inflammation only. Medial Meniscus near complete tear of the posterior root with associated marked extrusion of the body. Lateral Meniscus fraying of the free edge of the anterior horn, no discrete tear. Advanced Grade III / IV Condral wear in the central weight bearing aspect of the medial compartment with associated moderate Subchondral femoral and tibial marrow oedema, fraying of the free edge of the anterior horn of lateral meniscus. Scarring of ACL and MCL consistent with sequel of prior injury, intact PCL and LCL. WHY I’M STILL LIMPING ? WHY IM STILL IN PAIN ? I AM WITH A PROGRAM FOR 8 WEKS NOW CLLED PEAK CONDITIONING THROUGH WORK COVER, BUT STILL HAVE THESE ACCURING PROBLEMS, IT HAS HELPED SOMEWHAT BUT ONLY A VERY SMALL PERCENTAGE, I still need to use had rails when going up stairs, or left foot first each step to go down, (give way feeling). Thank you for taking the time out in reading this, and thank you for your advice regarding this matter Dr Luks. The most likely source of pain is likely to be the Edema in the bone. THis is caused by osteoarthritis (another source of your pain) and the root tear. Root tears are a commonly seen degenerative tear in an already arthritic / degenerated and worn out knee. Sometimes, despite trying injections, medications, weight loss and exercise our pain persists. Off-loading the knee with a walker/crutches, etc under the direction of a therapist might help. It can take a while for the edema to resolve. PRP will not be effective, because it is injected into the knee joint. The edema you have is actually in the bone. Hopefully your doc can put this into better context for you… since they are examining you. Dr Luks, I am a 50 year old that has always been fairly active – i cycle to work everyday (did) In February this year while refereeing a football match i was running when my knee hyper-extended backwards i heard this loud click and then immediate pain resulting in me being basically unable to move. I’ve now had a MRI which said I’ve got tear/tears in the cartilage around me knee. The Physio i spoke to after the scan said that i may require surgery or that i may heal on its own. It been almost 6 months now and i’m still unable to jog on my knee in fact if i go for a walk my knee is in pain – The new football season starts again i about a month and it looks like i’m going to have to miss out again. Should i be pushing my doctor or go with his word that eventually it s will recover. And about what time scale would this recovery take as my knee feels as bad now as the day i did it. Any help would be greatly appreciated. At 50 we have more variables to consider than simply the presence of a meniscus tear. The location of the tear matters. WHether or not there is arthritis in the knee as well also matters. In knees with moderate arthritic changes –treating the meniscus tear might not make you better. Bottom line… it is impossible for me to say what course of treatment might suit your particular case with seeing you and your images. Have you considered a second opinion? Thank you for all of this information and advice. I am a 59 year old male diagnosed with a bucketstrap meniscus tear from yoga. My knee has been swollen and sore for four weeks. I’ve had an xray and MRI and the surgeon says surgery is really the only option. She said this won’t heal and surgery won’t increase the chance of ostearthritis because the torn part isn’t helping any more anyway. At my age, she said repair is unlikely. I’d always prefer to avoid surgery, but this seems like the best route. Is it? thank you. Most people with bucket handle tears will eventually choose to have surgery due to pain, locking, and loss of motion. While it is true that older folks have fewer repairable tears, it does not mean that your tear is not repairable. We have fixed tears in 60 year olds with success. Each tear is different and needs to be carefully evaluated at the time of surgery with regards to repairability and its chance of healing. Hi!Dr.Howard J.Luks I’ve been suffering torn meniscus for three months.I got torn meniscus when I suddenly jump in playing basketball.I’m only 16 yrs.old and I hoping that my meniscus tear will heal on it’s own.I can walk normally but their is a pain when I run and jump.I want to back playing basketball wihout any pain.Can my meniscus tear will heal without surgery or not? It is possible… but after 2-3 months then the chances of healing on its own go down significantly. My wife was having a cracking sound in her left knee when ever she gets up since 8 months without any other complaints,Recently we visited our orthopaedic and he advised for MRI and MRI report was GRADE 2 HIRIZONTAL CLEAVAGE TEAR OF MEDIAL MENISCUS WITH INFERIOR ARTICULAR SURFACE EXTENTION.2 Mild interstitial sprain of the anterior cruciate ligament​.3 Mild sprain of the superficial fiber of the medial collateral ligament at its femoral attachment.4 Mild joint effusion.Now doctor has advised for arthroscopy surgery.we don’t want to go for a surgery.Is there any way by which it will recover.she is taking glucosomine msm and is doing some exercises to strengthen the knee muscles from last one and half month.now she is feeling better.One last thing can a tear become larger if not operated. Physio seems like a good place to start. This is certainly not a surgery you need to rush into. Thank you for your site and your recommendations. I am a 71-yr-old male in relatively good health. I recently had an MRI to determine what might be causing knee pain after I injured knee while rushing to cross a street. The IMPRESSION states: Inferior articulate surface tear of the posterior horn medial meniscus with extension into the body segment with an associated extruded fragment into the medial gutter and probable meniscal cyst formation. I had a consultation with an orthopedic surgeon today and he STRONGLY recommends arthroscopic surgery. Told me, in my case, it would be like “clipping a hangnail.” He was dismissive of studies suggesting PT is just as effective and surgery might not be needed. I’m totally confused and seeking some guidance. THanks so much! You’ve read the studies … that’s what the research shows. Most all degenerative tears can be managed with non-surgical management. If the flap in the medial gutter continues to bother you for 6+ weeks you can choose to have it removed. But it’s a quality of life decision. Thank you Dr Luks – I appreciate your taking the time to respond. Hi Dr. Luks. My injury occurred about 1 month ago. I’m a 43 year old male in good shape and injured my Left knee working out doing squats. My left knee caved in on me for a moment and that’s how I injured it. Their was no bruising at all but it hurts if you touch a certain spot. Also their was no real swelling at all. The pain is on the outside of my left knee. It hurts when I walk up and down the stairs (Walking up stairs is tougher than walking down the stairs but I have to use a handrail either way), if I try to do a body squat, and it bothers me if I’m standing for too long (20-30 minutes) and even just walking is uneasy but has gotten better but still have some sort of limp. I still don’t feel stable and sometimes the knee gives out. Also, I can’t even attempt to run or even jog at all. One more thing is that my right leg is acting up, behind the knee and hamstring area feels like it tightens up when I’m standing or walking for too long of a period. I’m guessing that’s because I’m favoring that leg more. Nine days after my injury I saw an orthopedic doctor. I got some x-rays done and they didn’t show anything. 2 weeks after I saw my orthopedic doctor I went and had an MRI. I got the results back and my orthopedic doctor said that the MRI shows that I have a torn Meniscus and he recommended surgery. I really don’t want to do surgery and would really like your opinion. This is what my MRI report reads. INTERPRETATION: Examination demonstrates horizontal tear posterior horn and body of the lateral meniscus. No meniscal fragment seen. Medial meniscus is intact. There is a moderate synovial effusion. No synovial cyst, thickened plica, intra-articular loose bodies or infiltration of the infrapatellar fat pad. The anterior and posterior cruciate ligaments, medial collateral ligament/lateral collateral ligament complexes, quadriceps tendon insertion, infrapatellar tendon, popliteus tendon, patellar retinacula are intact. Iliotibial band is normal. No evidence of marrow edema, chondral defect, intraosseous lesion or osteochondral defect. No abnormal muscle signal intensity, atrophy or soft tissue mass. Neurovascular bundles are unremarkable. IMPRESSION: Horizontal tear posterior horn and body lateral meniscus. No meniscal fragments noted. Moderate effusion. No ligamentous/tendon tear or chondral defect identified. Dr. Luks, do you think I can heal this without surgery? Could this be healed with physical therapy and strengthening exercises? If so what would be a ballpark timeline? These type of tears do not actually heal with PT… but most patients get by without the need for surgery. Occasionally a horizontal cleavage tear remains bothersome. Enough so that a patient might choose to have surgery. We usually wait 6-8 weeks before making those decisions. It should also be pointed out that these tears have been found to be repairable. That means that we can suture the tear together with a reasonable chance that the tear will heal. This is a MUCH better alternative than having the pieces removed. Thank you for taking the time to reply back. I appreciate it. with arthritis in the knee it is unlikely that an arthroscopy would offer you long lasting relief. Hi Dr Luks. I injured my right knee about 6 weeks ago. Nothing overly dramatic, except a bend and twist movement. I went to my orthopedic doctor and had an MRI after 4 weeks. The MRI reports that I have a flap tear to my medial meniscus. I have tried to come back from the initial injury 3 times, after feeling almost 100% and definitely pain free. Just a couple of days ago, the day before I was going to “test” my knee by running again, I was on a long walk with my dog. I could feel my knee starting to hurt and swell by 30 minutes into the walk. When I got home it hurt, was swelling and warm to the touch. I wasn’t able to test it running the next day because the pain was back. My doctor had said to try and resume normal activities and see if I can live with it, but I can’t resume my activities. He said he will can do surgery if pain persists. Have I waited long enough? Everything I read about flap tears says that they need to be removed/clipped if they persist in causing pain and swelling. I am a runner and haven’t been able to run for 6+ weeks now. Is there any reason to wait longer for arthroscopic surgery with a flap tear? I can wait longer if there is any chance that it will heal, but I haven’t found anyone that has said that….. Also, I was diagnosed with a small tear in my left medical meniscus about 8 months ago. My orthopedic doctor told me to hold off on Surgery and see if the pain goes away. And that worked, It did go away by about 4 weeks and I was running pain free for months before the right knee tear. Is it strange that I have had a tear in both knees within a year? I guess they are the same age…. (I am 51). It is not an easy decision…. I’ve met many runners who regretted having surgery. I have many runners who avoided surgery with flap tears and many who were willing to see if surgery enabled them to return to running. 3 months is generally long enough… but little harm in waiting more. The tear will not heal… you’re simply waiting to see if the symptoms settle down. I tore my ACL and medial meniscus in a dirt bike accident and had an ACL reconstruction (patellar tendon auto-graft) seven months ago. My surgeon also sutured a tear in my medial meniscus (sorry, I do not know the size or type of tear – only that it was a good candidate for repair). I was religious about physical therapy and my recovery went well for several months, however the swelling never completely down. I regained > full extension but never regained full flexion. When I started to do running and mobility exercises for PT, however, I experienced pain above my knee-cap and on the lateral side, so stopped running and replaced it with more biking. I am an avid bicyclist and am able to do long, hard rides (50-100 miles, 5-10,000′ of climbing) as well as I could pre-injury. I feel no pain on the medial side and there is no catching/clicking/popping. I do constantly feel a “tightness” on the lateral side. I also feel a small amount of pain at the top of my tibia when descending stairs (ascending does not hurt). My knee is (always) visibly swollen above the knee-cap. The swelling spreads to my entire lower leg, which looks like a sausage when I pull my sock down. At my 6 month post-op visit, my surgeon was happy with my quad strength but concerned about the swelling, but we opted to wait 3 more months before doing anything. He talked about aspirating my knee and giving me a cortisone injection to aid in the reduction of the swelling. At almost 7.5 months and no improvement, I have moved my appt to next week, as I am unhappy with my lack of improvement and inability to run without pain. My questions are: 1) does it sound like the meniscus repair failed? 2) is aspiration/cortisone injection likely to permanently end the swelling? 3) will I be able to run again? Without examining you I can not answer those questions… except thats an injection is not a great idea. Probably best to find out if tear healed. There is a good reason why the fake surgery could produce a positive result. After the surgery the knee is heavily bandaged for a period , this is the only time I have ever truly rested my knee for a week. this proper immobilisation/rest could allow recovery without surgery. There is likely more to it than that…. the placebo effect is very strong in humans. I am a female over 55 yrs. of age. I have expereinced severe right knee pain that prevented me from putting weight on my knee. I got up from a chair and proceeded across the floor and felt my knee to buckle.I did not fall. As a result, I went to the ER and left with crutches, a ache ban and RICE along with follow-up to see an Othropod. Lateral compartment: There is a partial-thickness radial tear at the body-anterior horn junction of the meniscus and a larger more complex tear at the posterior horn where there are displaced free edge flap(series4:14-15). There is a small area of partial-thickness cartilage loss in the femoral condyle w/mild apposing tibial cartilage wear. Medial and lateral meniscal tears. Even people with displaced flaps can find relief of pain after PT. Unless your knee is buckling and you are falling frequently then Physio is where most docs would start the treatment at. Sean… pain that is that severe MIGHT be due to a stress fracture… or an insufficiency fracture (same thing, different terminology). IF, again, IF the pain is due to a stress fracture (a good exam can tell you if this is likely) then getting the weight off the leg will help. Hopefully your doc can give you more information about possible diagnoses and ways to treat your knee without having to spend the money on an MRI. I injured my right knee recently playing softball. My MRI report reads – Lateral Meniscus small peripheral superior surface tear. Can you help explain what this means and what is commonly done to address this type of tear? I am a very active 45 year old male. I want to make sure I address this properly so I can eventually return to my normal lifestyle. As it says… this is a small tear. Peripheral meaning towards the part of the meniscus with blood supply and thus capable of healing. Man yof these tears will heal or the pain will settle down over time without the need for surgery. I am a 40 year old male that had my patella dislocated while walking and making turn on a coffee table, back in January. I wanted to let you know I had my patella dislocate before about 18 years earlier while playing football but went back into place right away. At that time I did not go to doctor since I had no pain and was walking in less than 30 minutes. In this recent patella dislocation, it was out for about 15-20 minutes but slide back in place by itself. I was taken to emergency room where x-rays were done and showed no bone fracture. I was put in a knee immobilizer at was told to rest for three days RICE treatment. I went to family doctor on the fourth day and was told to continue rest and RICE. Family doctor said I can return to work in a week, which I did in crutches. I continued to work at office and did RICE thru out. I began to recovery little by little but after a month I felt like I had stopped recovery. I then went to an orthopedics doctor. And he made some studies and determined I had no major damage to ligaments or meniscus but did not refer me to an MRI like I have read on your article. I have continued stiffness in my knee and cant bend knee fully, have done step therapy which was orthopedics recommended me to do as well as other knee therapy. I am able to walk but with a brace that makes me fell more secure. While reading your article I was surprised I was not sent to do an MRI and I believe that I may have a serve meniscus tear which has not healed. Can you be able to guide me or point me in the right direction. Thanks ahead for any advise you can provide me. An MRI is a useful tool … so is Physical therapy. I would talk to your doctor to understand their thought process and what their plan is for you. I’m a 28 year old female who injured her left knee while doing lateral bonds (with no direct insult to the knee). During the exercise I felt some discomfort, but I was able to complete my workout routine that day. I have had 3 knee surgeries to date (1 ACI on left knee and 2 arthroscopic (one on each knee)) that were all sports (college rugby and high school football) injury related. Prior to this most recent injury I did have intermittent knee pain that would increase with extensive exercise/use and some occasional “popping/clicking”, which is suggestive of arthritic changes/degeneration. Currently my knee is still fairly swollen almost a week after the initial insult to the knee, which significantly limits my range on motion in the knee. I have been taking NSAIDS, resting and elevating the knee, but I’m having minimal relief. The pain in my knee is more of discomfort from the swelling and I have noticed that the knee has stated to bruise about 4 days post injury. I started some of my old PT exercises to see if I can get some more relief without surgical intervention. I was wondering if you think I would make a good candidate for cortisone shot? Also, what else would you suggest to help with decreasing the inflammation and gaining more ROM? Normal joint alignment an intact articular cartilage. Intact patellofemoral. There is a radial tear involving the apex of the medial meniscus at the junction of the body and anterior horn. Subtle undersurface fibrillation type change also suggested in the posterior horn, medial meniscus with a likely small radial tear. The lateral meniscus is intact. There is mild cartilage thinning in the medial knee compartment. No osteochondral formation seen. There is a moderate degree of marrow edema present in the medial femoral condyle, and extending to the condylar attachment of the medial collateral ligament. Cartilage is intact in the lateral knee compartment. Small joint effusion. Small Baker’s cyst with evidence of partial rupture versus leakage. Prepatellar soft tissue edema and swelling as well as infrapatellar soft tissue edema. Offered arthroscopic surgery to repair and 4-6 weeks taking it easy or taking it easy for 4-6 weeks and contacting him later to see where we are at and if surgery is still needed. I do not wish to have surgery unless that is the last resort. Can rest from Jujitsu for 4-6 weeks, coupled with Q5 Joint Armor, Zinc and Vitamin C heal my meniscus to where I can practice BJJ again soon? I can’t comment on the effectiveness of the supplements… but a trial of rest and/physio might help. The edema is the most likely cause of pain… but only a doctor examining you can tell you that for sure. Surgery will not address that edema… usually time will. There is likely no harm in waiting a bit longer. A very interesting article. My physio has very recently suggested I may have a right knee meniscus tear and has suggested I strengthen my quads more to help stabilise the joint (which I am doing) and try to avoid having any kind of surgery, after reading your article I now understand why. My doctor, has ordered an MRI. I am 58, healthy and active. I had a LHR almost 2 years ago and have recovered. (Osteoarthritis/hypermobility in ankles, knees & hips) However, I paid too much attention to strengthening extensors etc and not enough to flexors. Consequently, I walked up and down a mountain and was hobbling at the finish. I think the tear started then. After this, I then completed a very tough 70 mile cycle, very hilly, Scottish Highlands and then a cycling holiday. I have no pain when cycling, but walking makes it worse. I have stopped cycling and am walking short distances, but am wondering if I can continue cycling, I have been told if there’s no pain I should be ok. I don’t want to stop completely. My knee is badly swollen , it hurts most after bring flexed for a while then extended, or the opposite way around. Particularly in the middle of the night , it’s a sharp pain. Or after driving and then walking. The pain is medial. I realise it may be difficult for you to say, but would appreciate any advice. At our age… we usually have some degree of degenerative arthritis too. That is the most likely cause of the swelling. We usually allow most all activities that do not hurt. The research studies show that patients with arthritis will do better over the long term if they remain active. Perhaps your physio or orthopedist can instruct you regarding a training program to suit your needs. I’m a 44 male and was diagnosed last year with a complex tear in my left knee medial meniscus. I had an ACL reconstruction in the same knee when I was 22, and was told this is likely one of the causes. Because surgery was not recommended by my doctor, I began an exercise program with lots of cycling and I’m doing OK for the moment. My doctor did talk to me about knee osteotomy surgery, but I find this kind of extreme. I’m curious to know your opinion about this kind of surgery and under what circumstances would you recommend it. High tibial osteotomies for very active people who are starting to develop a “varus” or bow-legged deformity are very effective if the procedure is done well and indicated properly. If the arthritic changes are too severe it might not work well. I use this procedure often in many competitive middle age athletes. It does sound very aggressive and it is a LONG recovery… but can be worth it in the end. Around 18 months ago i started having knee pain after cycle races,which eventually put me off the bike – im a 44 year old cyclist and have always been active -i eventually had an MRI which showed longtitudal tear med meniscus posterior horn extending to adjacent meniscus – open at inferior meniscal surface,also a grade 1 mcl sprain + grade 1 chondropathy to patellarfemoral compartment,this injury has never really had me in so much pain that i can’t cope in daily life,iv’e even started cycling again the last 6 months,not to previous levels,but a decent amount – i have slight mechanical symptoms but no locking and only really catches intermittently with deep squatting on balls of feet,flat footed squats are fine,my surgeon is due to operate in 2 weeks but i’m now wondering if it would be wise to put this off,i would ideally like to compete again,and the arthroscopy seems in theory the best way to achieve this,but i don’t want to do it at the expense of my long term knee health,my OS said its unlikley my symptoms will get much worse than they are if left alone,and nearly a year on the waiting list has so far proved right,so given my activity level now am i likely to make matters worse by delaying surgery or as my symptoms are mild,i may benefit from the procedure? AS you have found out… many meniscus tears do not require surgery. If the plan is to remove the torn piece… which it the typical approach then you might want another opinion or two. If the plan is to fix the tear with sutures, AND you feel your quality of life is poor, then surgery might be a reasonable option. If the symptoms are not significantly affecting your quality of life then putting off surgery is not the worst decision. Thanks,OS has said its a degenerative tear so repair is not an option in his opinion,so i would be looking at tissue removal of some degree. I am a 72 year old female, very active. In good health, not on any drugs. I was working up to 60 hours or so a week at my job. Plus exercising, walking and jogging up to 5 miles a day, 7 days a week, now only walk. The injury took place about 6 weeks ago. I had an MRI due to extreme pain in my right knee that started after jogging about 4 miles, then working on a retaining wall in the 100 +degree weather. Lifing heavy pavers. That evening, I tripped over a large object in the dark, onto the pavement, most of the weight onto the knee. Doesn’t sound real but did happen. Impression results: 1)Tear of the anterior horn and body of the medial meniscus. 2) tricompartmental osteoarthropathy which is greatest at the lateral compartment. Partial-thickness cartilage defects are noted at the lateral compartment and greatest at the weight bearing surface of the femoral condyle. Chondromalacia at the Patellofemoral compartment is also noted. 3)There is edema-like signal within Hoffa’s fat pad as well as a TT-TG distance of approximately 17mm. These findings can be seen with a patellar tracking abnormality. 4)Small to moderate sized popliteal cyst with findings suggesting leakage or rupture. Sure sounds like a lot wrong. What should I be most concerned with. The Doctor offered complete knee replacement or surgery on the tear, which I may not be a good candidate for, due to a rare immune system disorder, called ATM. I asked if PT would help. I have been doing the exercise program for 2 weeks, seeing quite a a lot of improvement. I take MSM crystals, a supplement up to 20,000 mg. It took all the inflammation down ( I can not take traditional anti inflam. due to propensity of developing ulcers). I would truly appreciate your opinion. Thank you for helping all of us. That is a pretty typical constellation of findings given your age :-(. Your fall probably stirred up the arthritic pain. Sounds like PT is working well for you. Arthroscopy would be of no benefit. Doesn’t seem like a knee replacement is needed yet either. A knee replacement is a quality of life procedure- so it’s up to you to determine if that surgery needs to be done. I hope you continue to recover. Although I am not thinking of it, you had mentioned knee replacement was a quality of life Procedure, did you mean it could effect the quality of life in a negative way? Make things worse?? no… I meant that people should only consider a knee replacement if non surgical care does not improve their quality of life. Thank you so much for your response. It has had given me a sense of calm. I am grateful for opinion. Hi, I am 16 years old and I am having some problems. A couple months ago I was diagnosed with patella tendinitis and have been taken physical therapy. On Sunday at my soccer game I did something to my knee. I think my knee or leg locked which led me to falling on the ground. I was in a lot of pain for a minute but was able to walk off the field fine. When I went back in my knee hurt for the remainder of the game. Then the next day I went to school and I had a constant ache all day and my knee would give out sometimes. When I went to PT she re-evaluated me and said that I could have done something to my LCL or my lateral meniscus. It also felt as though there was a gap in my knee when I would try to straighten it. Now it is Thursday and the pain is at like a 1 instead of a 9, which is what it was on Monday. So since I don’t have as bad of pain does that mean that it is healed? I had scheduled a doctor’s appointment recommended by my PT to have him check to see if anything is wrong, but if the pain is better does that mean that the injury is better? I would keep that appointment so you have a good examination to make sure all is well. In 1998, when I was 40, I woke up with significant pain in the knee for no apparent reason. There had been no trauma that I knew of, I had no history of knee pain or injury although having always been physically active, and I certainly had no ACL damage. I had a positive McMurray Test, and then an MRI estimated that there was a 50% chance of a meniscal tear. The pain would be moderate to occasionally excruciating if I bent it the wrong way. However, without any surgical intervention, the pain went away after about 6 months, and I haven’t felt any since. 1. Suspect non displaced subchondral fracture posterior lateral proximal tibia. 2. Complex tear posterior horn medial meniscus. 3. Abnormal appearance of the anterior crucial ligament suggestive of at least partial tear. No anterior translation of the tibia relative to the distal femur. 4. Small knee joint effusion and small to moderate sized popliteal cyst. Can walk but not much else. Hurts all of the time. No medication. Sports Med guy said, As long as you are satisfied with the status quo, then stay the course. Did not recommend PT. Said surgery may not help but may not. Left leg is atrophied due to the fact that I’m favoring right leg. Can not straighten or put weight on L knee. Feels like it’s going to give and pops lots. I want to be active as that is me, and quality of life is being affected. Any suggestions- thank you sincerely! Those subchondral “stress fractures” hurt a lot. THey require 4-6 weeks to allow them to start to heal. Sometimes folks need crutches for a few weeks to let the knee calm down. Once they start to heal ( 4 weeks is typical) PT might be beneficial. Hi Dr. Luks! I’m 18 years old and I tore my ACL and medial meniscus (complex tear, posterior horn) last month while doing jumping drills. I had knee arthroscopy yesterday to reconstruct my ACL using hamstring autograft, but the surgeon decided not to repair the meniscus as he said the situation was better than it appeared on the MRI and it will likely heal on its own. (He trimmed a small part that stuck out though.) However, I’m worried that this may put me at risk of arthritis in the future if the meniscus doesn’t heal completely. How likely is this? And how do I know if my meniscus has healed (and how long will that take)? I am currently on crutches, partial weight bearing. Thanks a lot! Thank you in advance for any wisdom and advice you maybe able to share or enlightened me on. I am looking to see what I should ask , when I see an orthopedic Dr.
My husband thinks I need surgery , I’m hoping for PT or if I can start with a certified medical pilates instructor we have near me. I am in my mid 50’s and over the past 4 years have put on some weight (more then I like) due to other medical conditions, I would like to stay away from surgery if at all possible. About 5 weeks ago , I was stepping off the back door of a bus, just as I was planting my left foot onto the ground (grass , not cement) , the driver lowered his front hydraulics for a senior to get on, causing the back of the bus to rise and jerk. At first I felt as if a linebacker had hit the outside of my leg and pushed it into my midline, then came a sharp ice pick pain in the center of my knee, by the time I walked the quarter mile home, my knee was the size of a melon. when I went to a walk in clinic they advised to see an ortho, X-rays showed normal, no breaks or chips. There is a small undersurface tear of the mid body of the medial meniscus. There is also partial extrusion of the mid body of the medial meniscus, The anterior and posterior horns of the medial meniscus are intact. The anterior and posterior cruciate ligaments are intact, as is the extensor mechanism. The medial collateral ligament and lateral collateral complex are intact. There is a moderate – sized effusion within the suprapatella pouch. No other abnormal fluid collections or soft tissue masses are seen. There is edema within the subcutaneous fat anterior to the patellar ligament. There is diffused loss of articular hyaline cartilage along the medial femoral condyle. Correlation with weightbearing radiographs would be helpful. No bone marrow edema is seen. I am currently in a support brace, i do work on my feet all day, My pain has improved from a 9/10 to 4/10 now and only wakes me up at night about 2 times Vs. 5 + times as before. Any suggestions would be helpful, I have had great success with alternative methods before , yet I know Knee’s can be somewhat tricky. Best to try and avoid surgery for the meniscus… with osteoarthritis already present your pain might not improve after surgery. I usually ask folks to wait 2-3 months before considering surgery. Especially if your pain is improving. 1. Injury of anterior cruciate ligament. 2. Lacerating wound of anterior & posterior horn of lateral meniscus （Ⅱ stage）. 3. Small effusion in joint capsular. I’m a student in China , so this is the translated version of my report . They told me it’ll heal if it’s own and to give it some time , but then it’s been nearly 6 months and I still can’t kick a ball . I’m fully able to walk without pain and can jog for sometime and am restricted to kick or to jump . Please do let me know whether I’d be needing a surgery to fix it or it can heal by it’s own . Adding to it I don’t have any movement restrictions, I’m able to move my leg in any direction I wish for without pain . Please do suggest me what to do now . Hope you’d be replying for my doubt . Without an examination I can’t offer any specific treatment advice. Dr. Your running strava friend here. First,your website is awesome. I have read through all the comments and your answers. It was quite helpful. I am suffering from a small meniscus tear on the inner knee. Not Confirmed from an MRI. I must do 6 to 8 weeks of rehab first. I plan on being healed by then. The good news I am not limping at work anymore. (Construction) Up and down ladders, and walking on scaffolding is fine. I can do everything in normal life without pain. LOL I have addiction issues to running, and that is what I am shooting for. I tried for a return a few weeks ago. first a 1 miler then a 2 miler. I started feeling a slight pain and shut it down. More rehab. I will start up again November 5th and see how things feel. Thanks for reaching out. Great work!!! Many of us run with meniscus tears that rarely or minimally bother us…. No harm in continuing to run on a stable meniscus tear. As an avid runner it is often best to avoid surgery since osteoarthritis is more common in people after meniscus surgery. That can limit a running career. Look forward to seeing you out there ! i m suffering from torn meniscus and torn ACL, where my doctor is saying that the only solution is surgery, in which he will suture the torn area. i want to ask ur opinion as i am just 22 years old n shud i go for surgery or there are chances of my torn meniscus n ligaments to heal by itself! if it can heal then how? P.S. :- I am from India! If your knee is stable and doesn’t hurt then you may do well without surgery. If your knee is unstable and feels loose then you can try physiotherapy to see if that improves your symptoms. If you continue to have instability issues, even after physio then you may need to consider surgery. I injured my left inner meniscus this past december (2016) playing basketball and was ordered to do 12 weeks of physical therapy. After I completed the 12 weeks I was told that almost no improvement was made. It was then determined that I would need surgery. Soon after this I started having issues with severe allergic reactions and was told that my surgery needed to be postponed until I was cleared to be put to sleep during surgery. I just got cleared and had MRI’s done again and was told I still have a torn inner meniscus. My questions to you are: 1. Is it better to have it removed or repaired. 2. If it is dangerous to even have surgery after so long of having the injury. Thank you for this information I found it very useful. Hi Anna… repair is always preferable to removing the torn piece of meniscus. If the meniscus stands a reasonable chance of healing then it should be repaired. 12+ weeks isn’t too long out from the injury to consider a repair. Hi Dr. I had a small piece removed in 2011, left medial minuscus. Since then have run about 3,000 miles per year and 25 marathons without any problems at all. However, recently I have pain and stiffness in the exact location and have stopped running completely, so as not to exacerbate the knee. I’ve been cross training on the elypticall without pain for 2 hours daily, but walking is still noticeably painful. I have a goal race in April that is fairly costly, and looking forward to training again in preparation for it. Also, I’ve been doing all of the strengthening exercises I did via rehab in 2011 to try and see if that works. I was running within 4 weeks after surgery, but this time I’m 5 weeks into this, and it doesn’t seem to be getting better. Note, I have no catching or feeling of the knee giving out. Does this sound reasonable, and should I just be patient? Or, any other suggestions. I have no plans for surgery again. As much as it pains me to say this, I will walk away from running if it doesn’t get better. Thanks. There are many possibilities here… One is a reinjury to the meniscus, but the other is that you have developed some arthritis on the inner or medial aspect of the knee. That is common a few years after a tear is removed. In all likelihood both might be present– that is a degenerative meniscus tear in the setting of early medial compartment OA. For someone as active as you there are different treatments available depending on your goals and expectations. Not many runners or tris want to stop or are willing to stop. Depending on your exam, complaints, x-rays and perhaps an MRI some considerations to review with your surgeon includes further rest and PT, cross training, PRP injections, high-tibial osteotomy (big procedure, but can get a young active runner back on the road), and so on. Without seeing you and examining you I can not determine if one versus the other options is right for you. Hopefully you can find a good sports doc to discuss this with near you. Medial meniscus body oblique undersurface tear with minimal extrusion of the body beyond the joint line. Full-thickness chondral loss medial tibial plateau peripherally with subchondral cystic change and marro oedema. Synovitis. Lateral meniscus free edge fraying without tear. Grade 2/3 chondral wear lateral compartment. Grade 2/3 chondral wear patellofemoral joint. Minimal knee joint fluid with synovitis. I just want to know which treatment will be suitable for me surgery or physiotherapy. you should read this post …. It will help explain what’s going on… and how we treat this. 1. There is complex tearing and deformity of the posterior horn of the medial meniscus. 2. Areas of tearing and deformity of the posterior one third of the lateral meniscus are present. 3. Residua of chronic healed medial collateral ligament sprain. I’ve been to two separate orthopedic surgeons, and they both recommend surgery to remove (not repair) part of the meniscus. I’m very apprehensive about this surgery and am wondering if there’s anyway to rehab (somewhat) without it. What do you think? It’s a very difficult problem. Folks our age who have meniscus surgery, especially involving the lateral meniscus do not do very well for very long. There are a number of us who try to never take out a portion of the lateral meniscus because that “compartment” in the knee becomes very cranky after surgery and tends to degenerate quite rapidly. Medial side tears might do a bit better, but also cause arthrosis over time. Lastly. the data on horizontal tears, especially on the medial side show that they may heal after surgery. We have been fixing these for a while in the right individual. Perhaps you can find someone who is at least willing to consider repairing them if you chose to go ahead with surgery. Again… this is a very tough problem… and tough decision making. There is no clear answer here. Other than the fact that the research is starting to favor non-surgical management. Dear Dr Howard, I hope you can guide me and possibly re-assure me about Arthoscopic left knee surgery that I have been advised to do by a reputed Orthopaedic surgeon here in Melbourne, Australia. I am a female aged 47y who had a recent car accident and both my knees were bruised and injured (i also have mild-moderate osteo-arthritis on both knees), however no broken bones or bleeding etc but I have discomfort and pain/ stiffness when walking on left knee which was not there before and which worries me as I have 2 young kids at home to look after. The pain becomes worse when shopping or walking for more than an hour. 1. Severe medial knee joint and early patellofemoral joint ostearthritis, 2. Narked degenrative thinning through the body of the medial mensicus with an associated complex tear 3. Degenerative change with a horizontal tear through the body of the lateral meniscus 4. Moderate knee joint effusion 5. A partly ruptured bakers cyst 6. mild prepattelar bursitis. Please advise if the key hole surgery would work or if it is a sham for my condition, I am especially concerned as you said that research shows arthritis progression can be fast after a surgery like this. I am fairly young and this is of great anxiety for me. Please help settle me at ease. Given that you have severe knee osteoarthritic changes it is highly unlikely that you will respond well to keyhole surgery. After a car accident it is best to give physio and time quite a few months before making decisions like this. But given the changes in your knee– your first surgery might not be keyhole… it could be a replacement. Best to continue with non-surgical treatment for now. I am 42 years old. I have a partial tear in the medial patellofemoral ligament, a horizontal tear in the body of the medial meniscus and grade 1 signal in the body of the lateral meniscus. There is a mild sprain in the ACL. My injury happened 6 weeks back. I am undergoing PT since last three weeks, and I feel my pain is little better, and knee bending is improving. My question is: If someone faces these type of tears, they lose the ability to run, cycling even after full recovery. Is there ae chances of reoccurring. What are the further precautions you would like to suggest to avoid these risks? I have dreams of running a marathon; it is going to be impossible now? You have a good chance of recovering in a number of months ( can be 4-6 months). Keep up with you exercises and stretches. I am 48 year old active make. I tore my meniscus 13 weeks ago no surgery. I still have problems with swelling of the knee after jogging or running. How long should swelling persist down the road? HI David… I often finds that the swelling associated with physical activity subsides within a number of months. But even if the swelling persists, is it worse to deal with that or assume the risks (accelerated osteoarthritis, surgical risks, etc) of surgery? Hi Dr. Luks, thank you for the insight in this article and it is awesome of you to answer so many peoples questions. I would greatly appreciate if you could give me any insight into my situation. I am 35 yr old male, I hurt my knee practicing Brazilian Jiu Jitsu. I haven’t had it evaluated because I have no medical insurance. From my research I believe I may have injured my meniscus to some degree. My lower leg was pulled inward and my outer knee made a loud pop. It did not hurt at all, so I continued training that night. The next day it did hurt and was stiff, but not extreme, never swelled. Slightly hurt to the touch on outer knee, and most pain is sometimes upon rotation or pivoting. This was 10 days ago. It dosen’t hurt now at rest, but sharp pain sometimes upon pivots or rotation, as if I could injure it further. My dilemma is 1. no insurance, and 2. I feel I really need to get back to Jiu Jitsu, it has completely changed my overall health and life recently and if I don’t have that I may not be able to stay committed to the same level of health, fitness, and relief of stress. I think id rather have arthritis, just don’t want to totally injure my knee to for sure not be able to train. I’ve ordered a pretty good knee brace and intend to return to training next week. I am extremely inflexible and that may have led to the injury, id like to work on that through yoga and continuing Jiu Jitsu. Can you provide any insight, thoughts, or recommendations? Thank you so much!! First, thank you very much for keeping this thread going; I think it’s a great resources for folks. Now for my question :) I have a complex meniscus tear in my left knee. I can walk for short distances, around a mile, but then my knee begins to hurt after a while. In fact, these days it’s almost always sore. My injury happened about 6 months ago from painting my curb for 40 minutes while standing on my knees, without padding. My Orthopedic surgeon wants to cutout the torn portion of my meniscus and told me I will lose 1/6 of it. I also spoke with another doctor about doing a stem cell treatment. But it’s $6k out of pocket without any guarantees (although the Doctor told me he’s had an 85% success rate with “pain reduction”). Also, the doctor proposing stem cell treatment hasn’t done any MRI follow ups to show that the meniscus was actually repaired. So I’m concerned about the efficacy of the treatment. Meniscus surgery seems to be the way to go, but I’m concerned about the increased chance of arthritis. Maybe I should shop around for a cheaper stem cell treatment? Perhaps it’s worth rolling the dice on it if there is a chance I can save my meniscus? Another idea is to hold out for a few more years to see if some of the current stem cell studies bear fruit. Although, it’s a long time to wait, and I’m concerned if I do nothing things will only get worse for me. Most meniscus tears do not require surgery… and those patients return to a very active lifestyle. If your tear does require surgery for whatever reason then an attempt at a repair and not cutting it out is the way to go. Over the years we have learned that we can successfully repair many tears once deemed unrepairable. Stem cells at this time are a waste of money. They do not lead to regeneration. Some people might feel better, but those numbers are never greater than a positive response to a placebo. Save your money. Hai, I’m Pei, 45 yrs old this year, I have injured my right knee below is my MRI report, I have been rested for almost 6 week, I would like to ask if my knee injury like this will it heal by resting? Tq. Tear of the posterior horn of the medial meniscus. Lateral miniscus is intact. The anterior and posterior cruciate ligaments are intact. Bony contusion/oedema in the corresponding surfaces of the medial femoral condyle and medial tibial plateau focal high signal noted in the midpole of the patella posteriorly. Minimal fluid in this prepatellar bursa, patellofemoral and tibiafemoral joint spaces. The quadriceps tendon and infrapatellar tendon are intact. Sprain of the miniscus capsular junction of the posterior horn of the medial miniscus and sprain of the mid portion of the medial collateral ligament. The lateral collateral ligament is intact. Tear of the posterior horn of the medial meniscus. Sprain of the meniscal capsular junction of the posterior horn of the medial meniscus and the mid portion of the medial collateral ligament. Bony contusion / oedema in the corresponding surfaces of the medial femoral condyle and medial tibial plateau. Focal high signal noted in the midpole of the patella posteriorly. *I didn’t walk, I have been resting at home almost 5 weeks and plan to walk next week, I can feel my knee is no more pain but still worried, do I need operation if pain starts bck? Tq. 1. Tear Anterior horn lateral meniscus involving the anterior meniscal root and associated with anterolateral parameniscal cyst. 2. peripheral the posterior horn of the lateral meniscus. 3. Mild(Grade 1) sprain of the ACL for the clinical correlation. 4. Bone bruise of the distal femur. 5.Minimal Synovial effusion of the knee joint. Aprpeciate if you can suggest the possible way to over come the issue. I’m a 27 year old female. The onset of my knee pain was insidious over the last 6 months, to the point where I could not walk even short distances. I’ve had physical therapy for 2 months, and am now able to walk longer distances but seem to have plateaued and haven’t made any further gains for the last month. I still can’t walk as much as I need to for my job without pain and swelling. MRI results were somewhat inconclusive (below) – particularly because it describes a possible tear on the lateral meniscus, but my pain has been consistently centered over the medial joint line and medial femoral condyle. I’m wondering about the likelihood that this will improve conservatively vs require surgery (which, as a Medicaid patient, is proving quite difficult to even get a consult for). Thanks for any input you may have! *MRI RESULTS: Vertically oriented fluid signal at the junction of the meniscofemoral ligament and posterior horn of the lateral meniscus is felt to be related to anatomical variant with large meniscofemoral ligament. However, this could possibly represent a healing tear in this region as well. Hi. It is not unusual for an MRI to show certain things that may not be the source of your pain. Not all causes of pain are clear on an MRI. Without a clear diagnosis, usually brought forth by a good examination, it is hard to say if surgery is needed. There are many hospital employed physicians and clinics that accept Medicaid patients. It depends on the region of the country you are in. Approximately one month ago, while slowly walking, I felt something snap in my knee which turned out to be a tear (actually two tears) in my meniscus that resulted in my knee giving out totally and my being unable to walk or stand on it for several hours. After getting an MRI, it confirmed this and then I saw an Orthopaedic group who suggested I needed surgery to correct it. Since the incident happened I resumed normal work activities within a few days with some pain and now just have very little pain. I’m scheduled for surgery in 5 days on 2/9 but am having serious doubts now about proceeding with this. 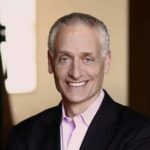 My research is showing consistently what I see in your article here….that the surgery may not have as good of a success rate for totally erasing pain and restoring function than simple PT would and could actually do more damage by hastening the probability of arthritis and then a total knee replacement. Please tell me it’s not just concerns about the surgery….would I be making the right decision to cancel the surgery and just try PT first? Your research is accurate… the vast majority of meniscus tears do not require surgery. I am 74 years old and have run more than 100 marathons including ultra marathons . Two years ago I developed pain on the inner right knee with slight swelling. I visited my chiropractor for treatment and the swelling and pain disappeared. I can cycle, walk and climb hills without any problem but when I try and run my knee starts hurting again . I visited my orthopedic surgeon who took x-rays and informed me that my condition was genetic related and that the femur and tibia were almost bone on bone, that is why I am experiencing pain when I run. Am I right in concluding that the meniscus on the inner knee has degenerated. I experience no pain when cycling, walking or climbing stairs . Will a compression sleeve and continuous physiotherapy enable me to run again . I’m jealous Lawrence. THat’s quite an impressive amount of running. I enjoy running very much. It seems like you have gotten a lot out of those knees. Hopefully your symptoms simmer down, but there’s no telling when/if you will be able to return to running. The meniscus is a non-issue once there is that much arthritis (bone on bone). Stay active, keep cycling and walking. Good luck to you! I am 56 years of age and work on a vineyard in Mildura, Australia . Six years ago I was standing on the back of a flat trailer behind a tractor doing work on poles. I stood off the back of the trailer as it was moving slowly but misjudged the distance to the ground. When my foot hit the ground it felt like my knee hyperextended and I fell to the ground in pain. I couldn’t walk on it properly and I went to outpatients that night. I was told that I had probably damaged my lateral miniscus. I used a walking stick for a bit and tried not to put too much pressure on it but didn’t feel strength in it for over 12 months. I have twinges of pain off an over the years but for the last 3 months, pain has been continual when I walk. I have had no MRI done and wondering whether I should pursue treatment? HI Barry… After over a year of dealing with this, it might be nice to see someone and get an idea of what’s going on inside the knee. I have had swollen knee for 6 weeks. It was drained twice and blood was present both times. MRI reports: linear tear of the posterior horn/body of lateral meniscus abutting the inferior articular surface. Concomitant component of subtle radial tear of the junction of the anterior horn and body of lateral meniscus is also felt present. Doctor is not sure where bleeding is coming from and recommends surgery to take off part of meniscus. I am going to get a second opinion. I have limited range but don’t have any pain. Will surgery cause future problems? Bleeding in the knee is usually due to a tear in the lateral meniscus near an area we call the popliteal hiatus. It is not common, but I have seen many cases in my career. Without seeing you I cannot comment on whether or not surgery is the right answer. Greetings form Colombia. Am an 18 year old boy. Last Monday I was playing basketball and a kid fell in my knee. The MRI results came saying I have a partial radial tear in my lateral meniscus. I want to know if I need surgery and how much more would the recovery take? I want to come back an play basketball. Many of these tears will not require surgery. The recovery without surgery can take up to two months for the swelling to subside and for the strength and flexibility to return to normal. Surgery can take a long time to recover from if they repair your tear with stitches.